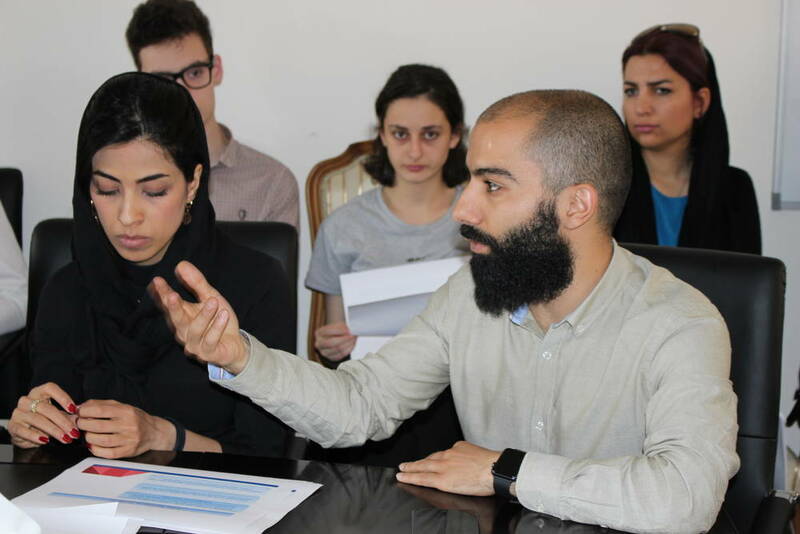 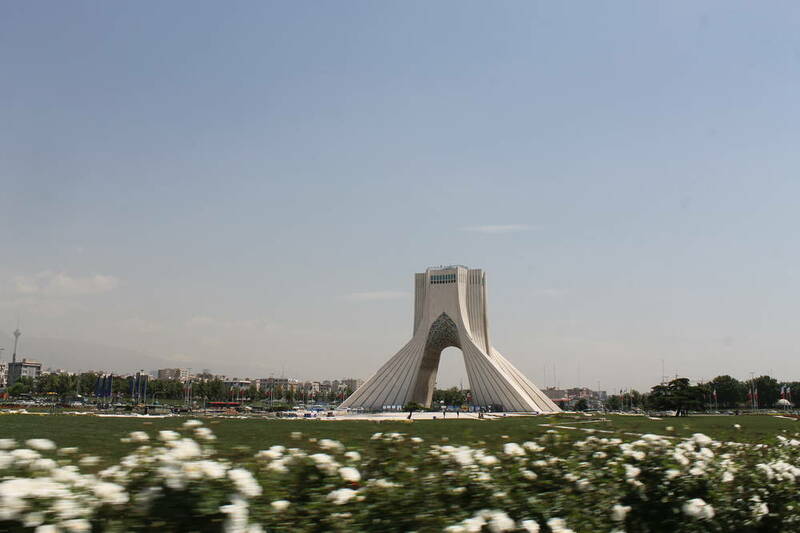 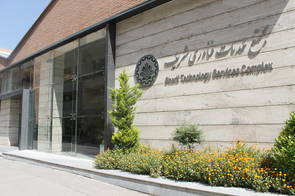 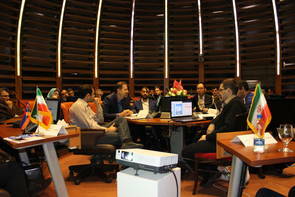 Do you want to participate in Leadership School’s projects in Iran? Please subscribe to e-notifications and join our community for Leaderschip School news. 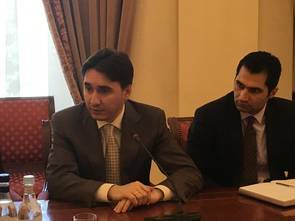 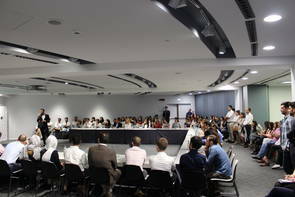 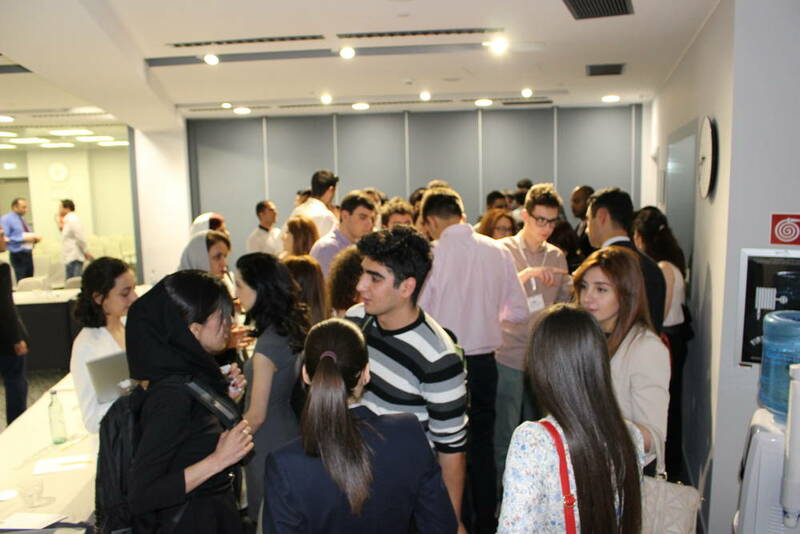 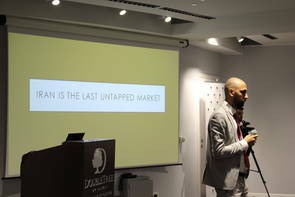 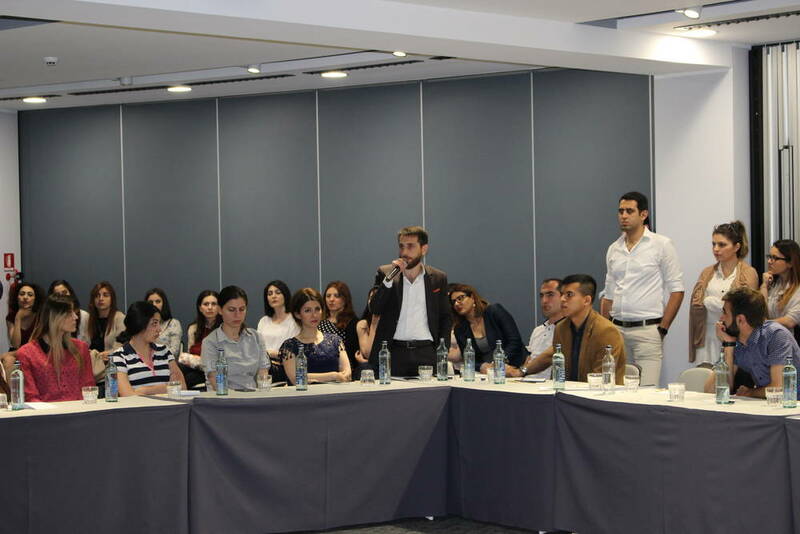 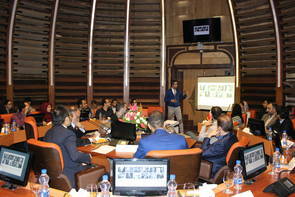 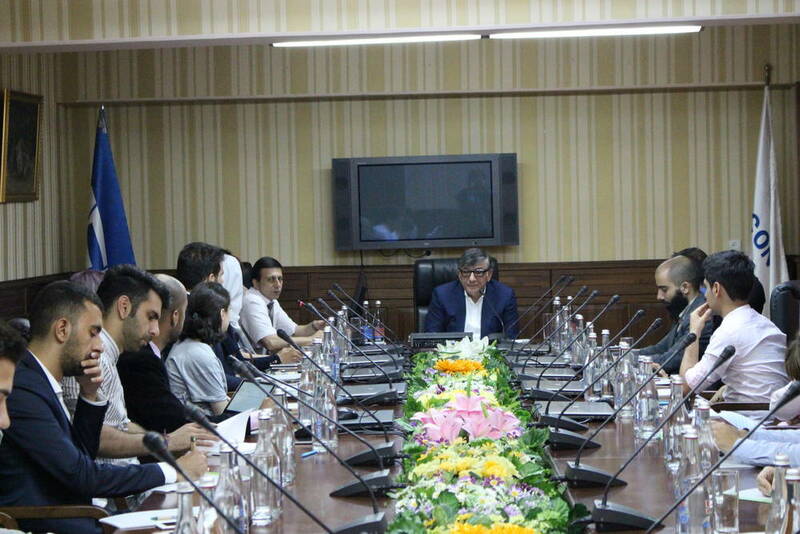 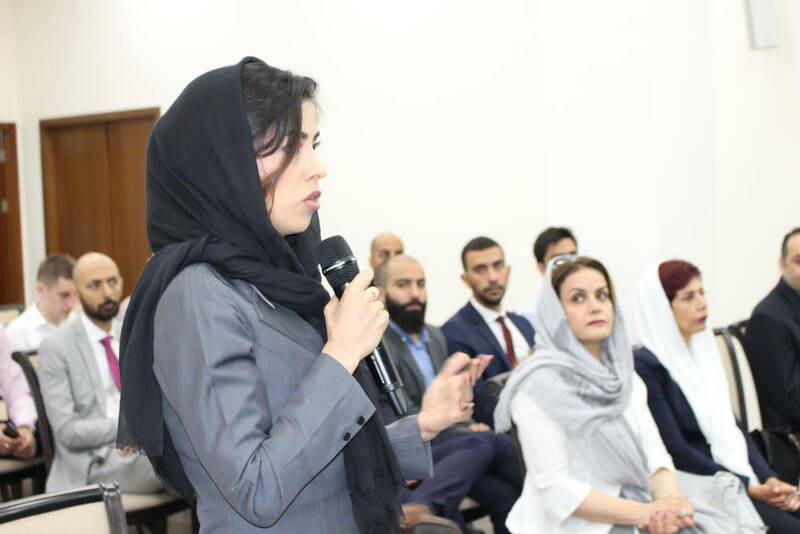 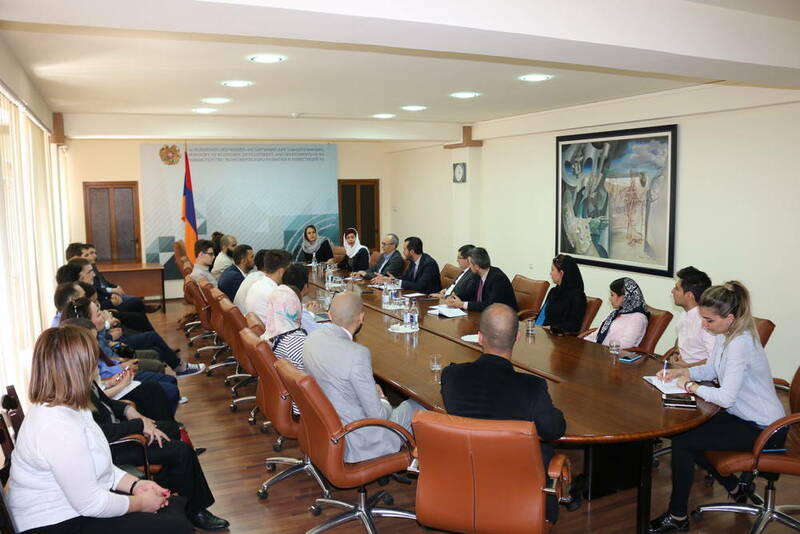 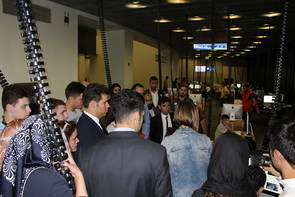 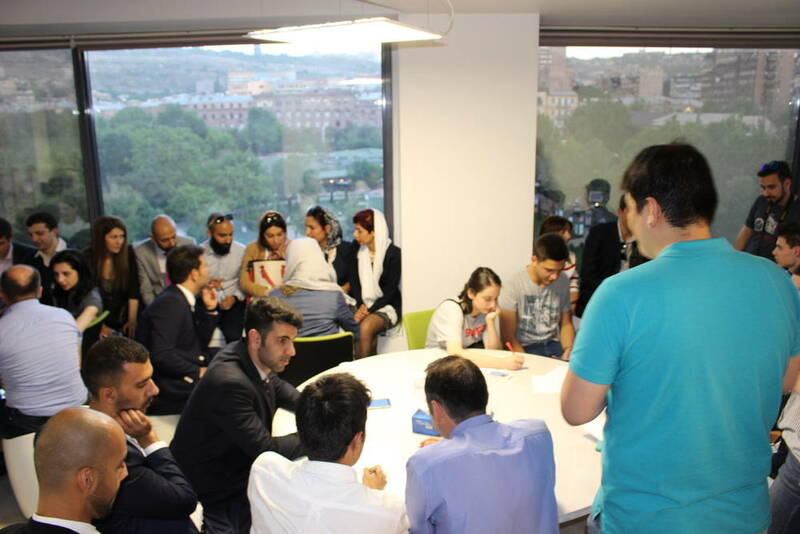 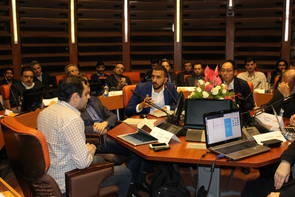 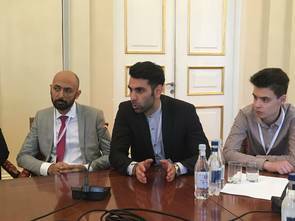 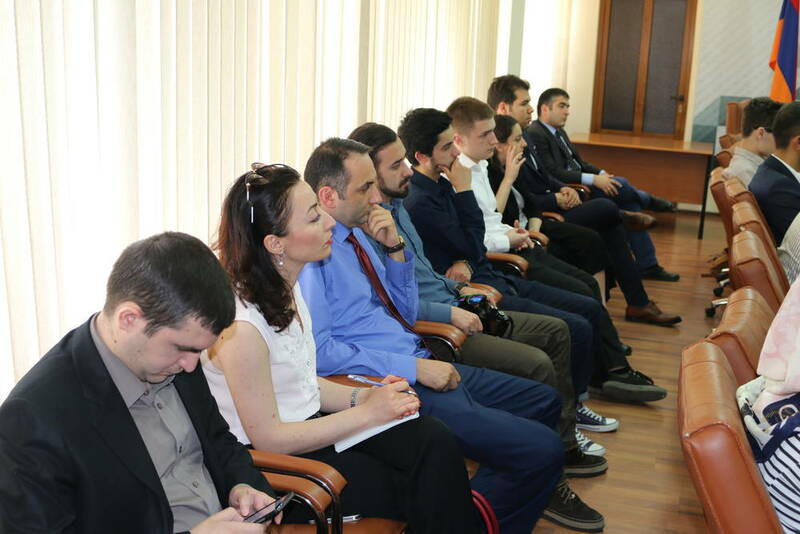 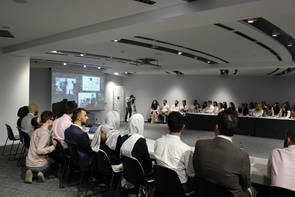 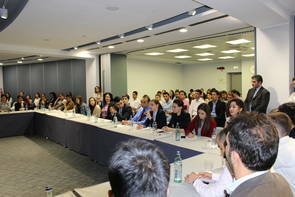 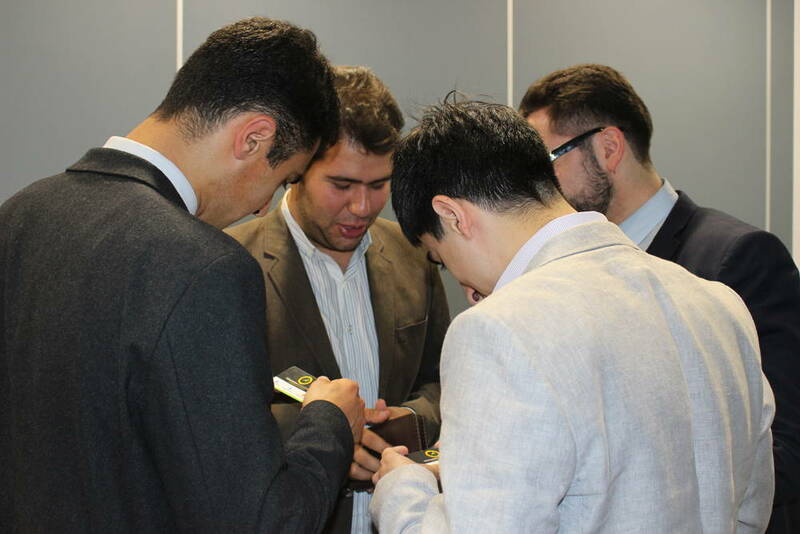 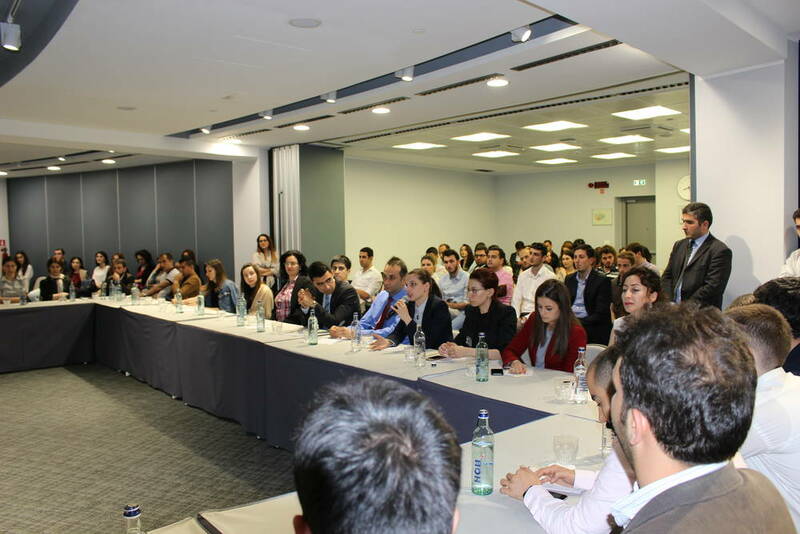 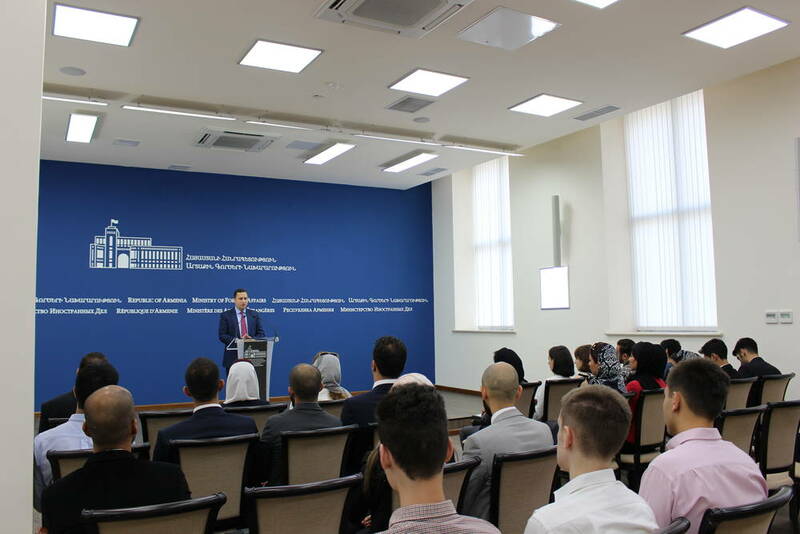 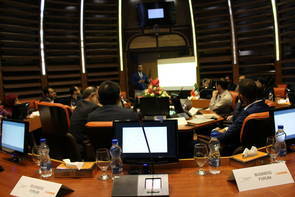 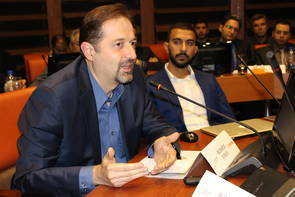 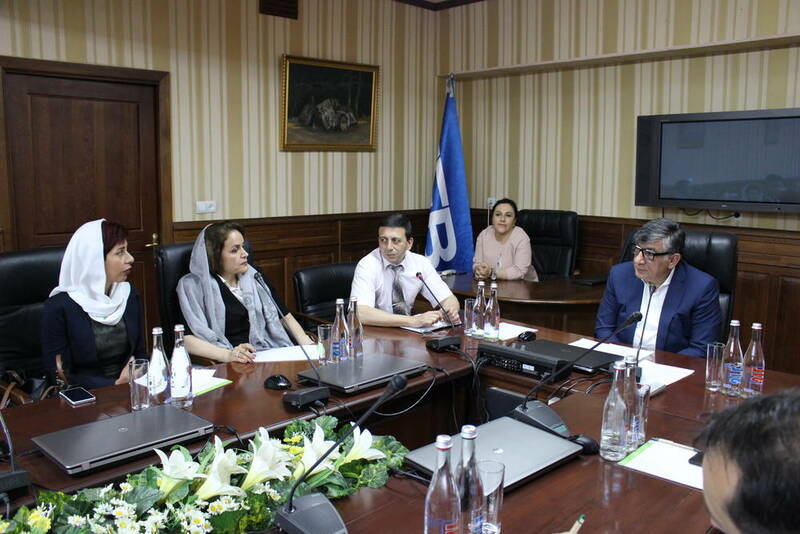 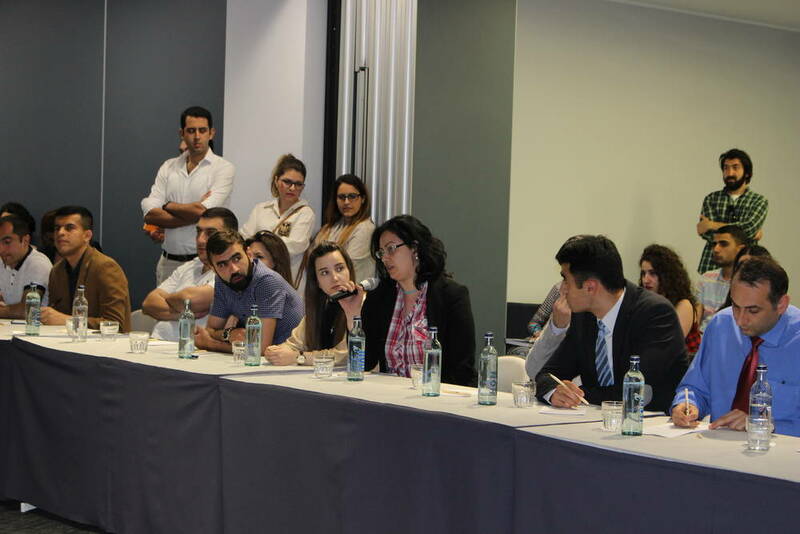 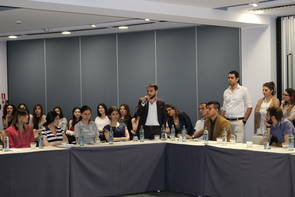 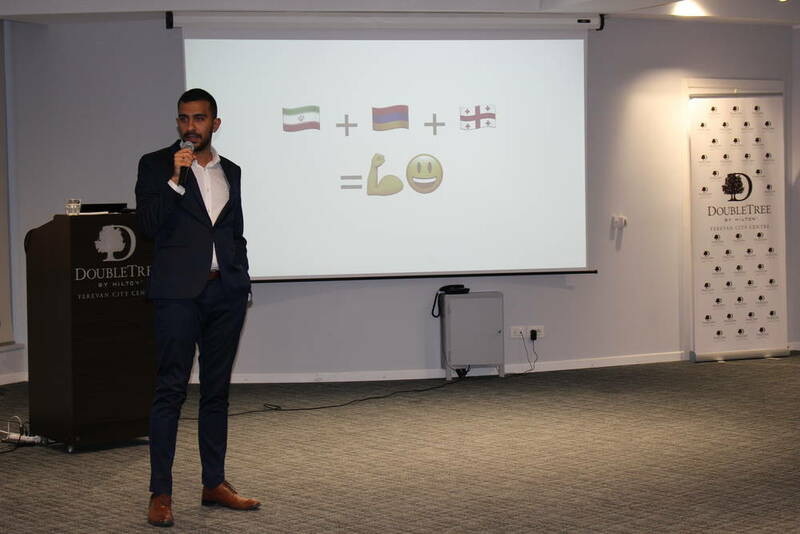 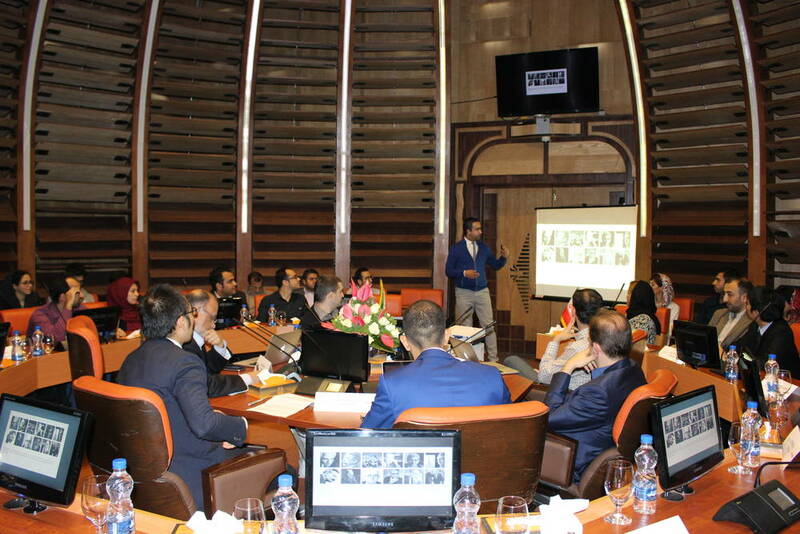 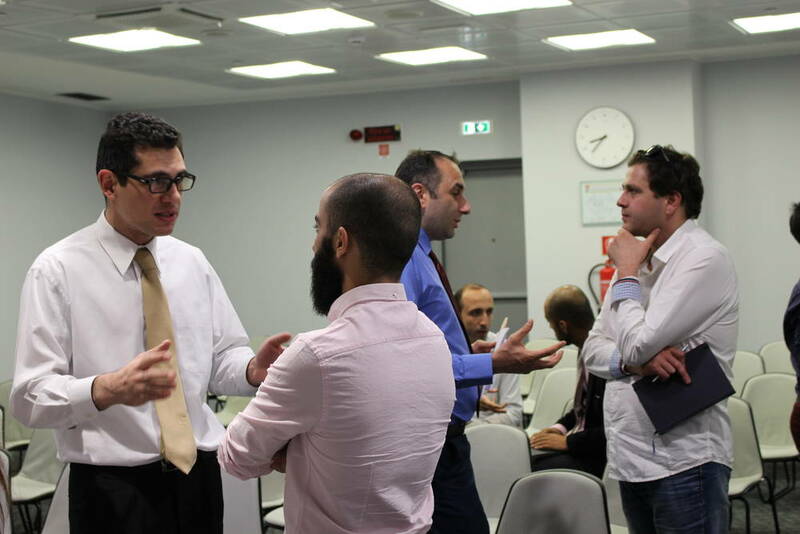 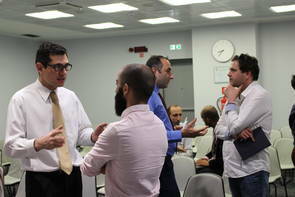 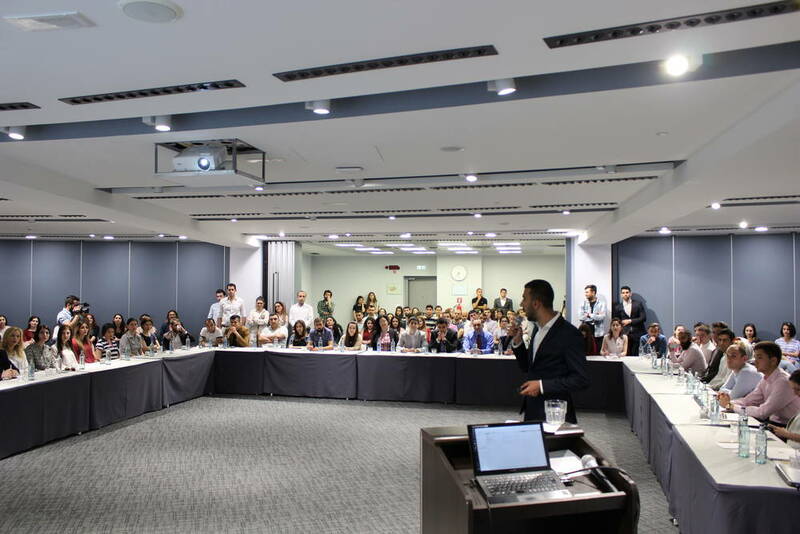 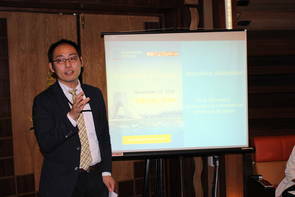 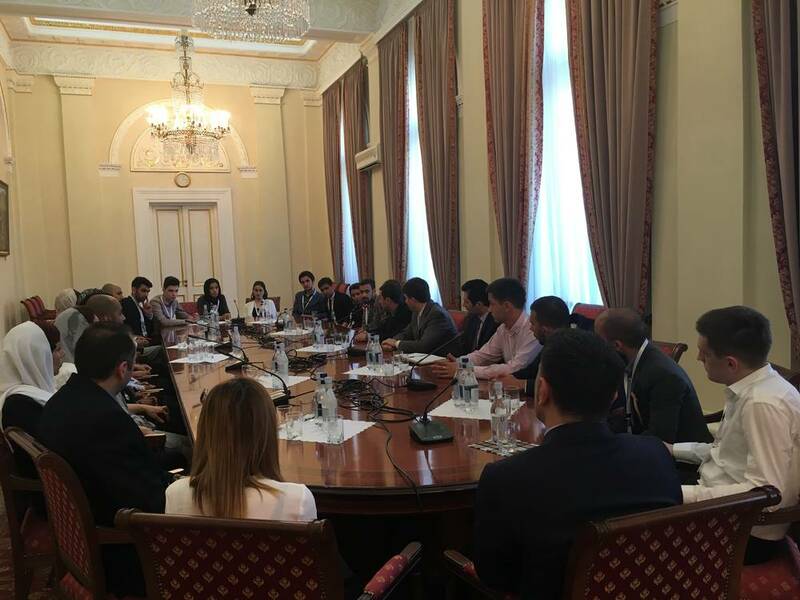 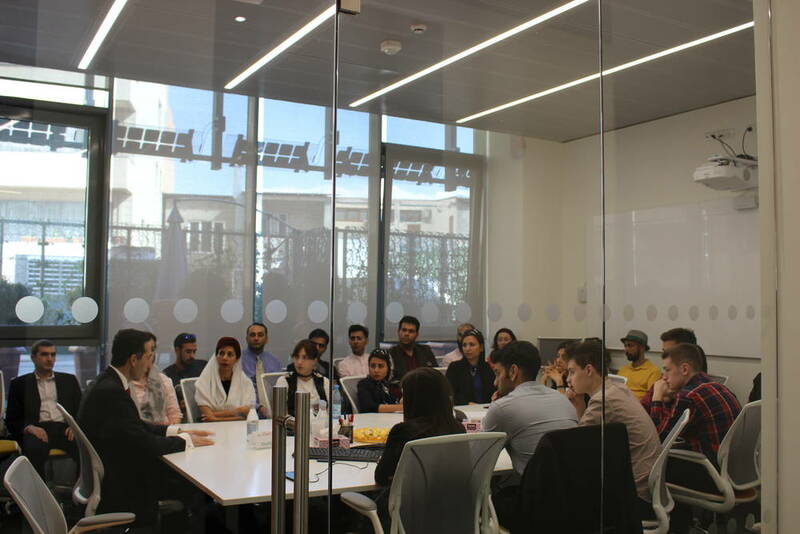 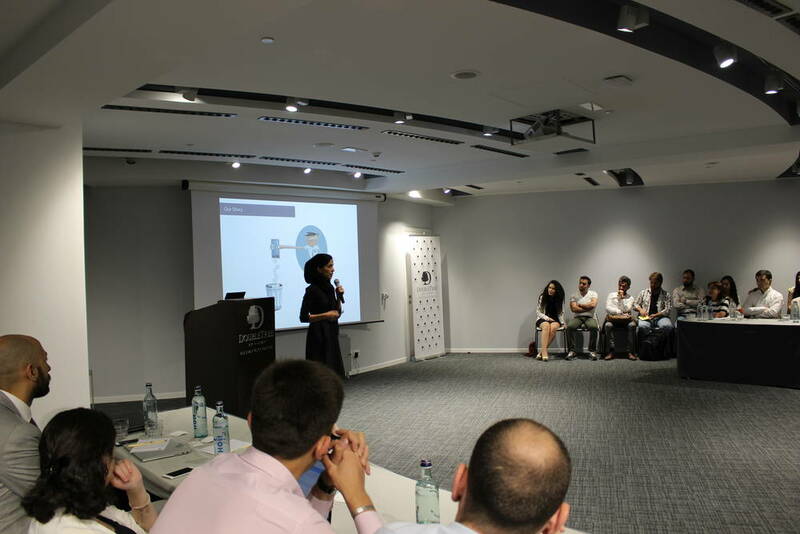 Leadership School has organized a Business Forum in Yerevan for the young businessmen of Iran, Armenia, and Georgia to explore current developments & build connections for regional cooperation. What advantages & opportunities can Armenia offer for the mutually beneficial cooperation in the region? 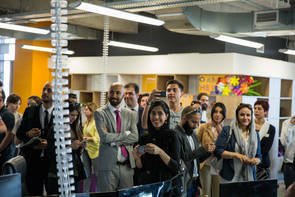 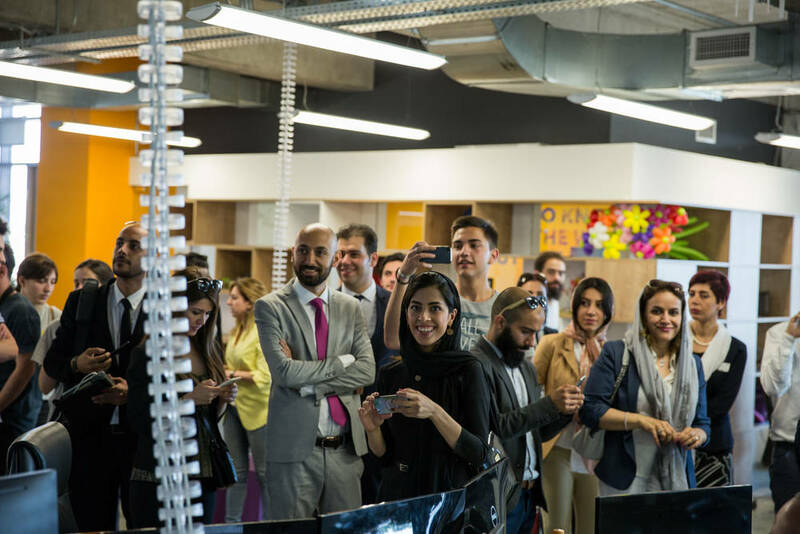 Hadi Farnoud (founder, Hamfekr: a meetup for entrepreneurs) is shining light on the unknown opportunities in Iran: from talented youth to the massive market. 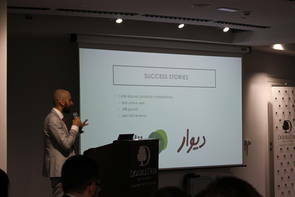 Hamed Jafari (co-founder, Techrasa) is sharing analyses on success stories & difficulties overcome by Iranian companies, and hope for regional cooperation. Sahar Pakseresht (representative of recommender.ir) is reflecting on the story of an Iranian machine learning startup. 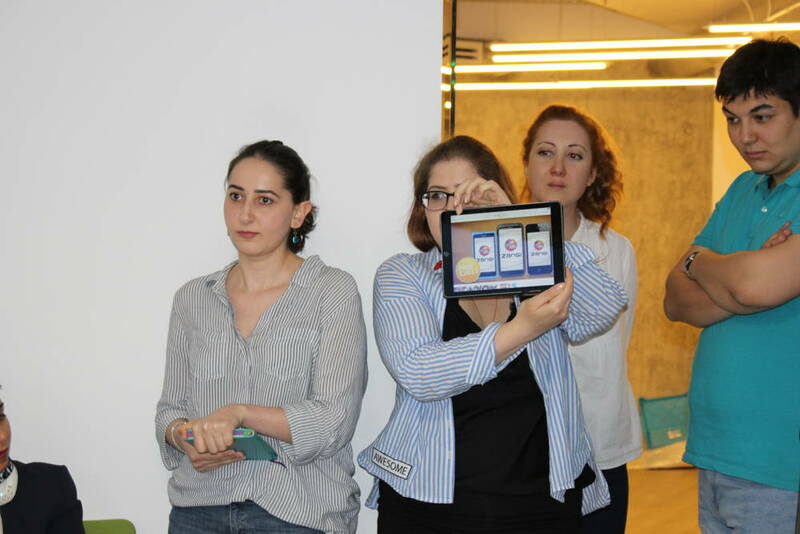 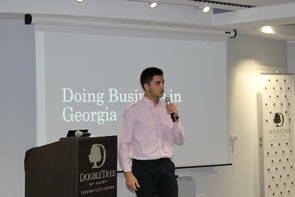 Georgian startup community representatives are presenting opportunities in Georgia, and an example of startup concept. 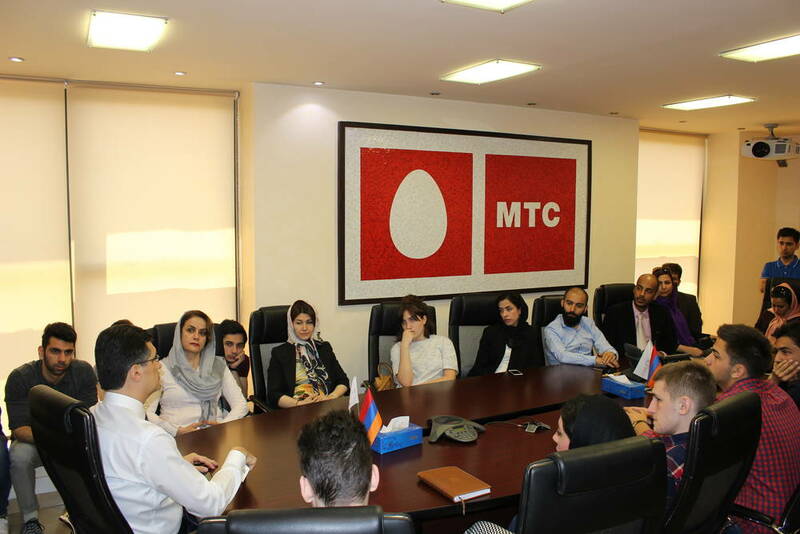 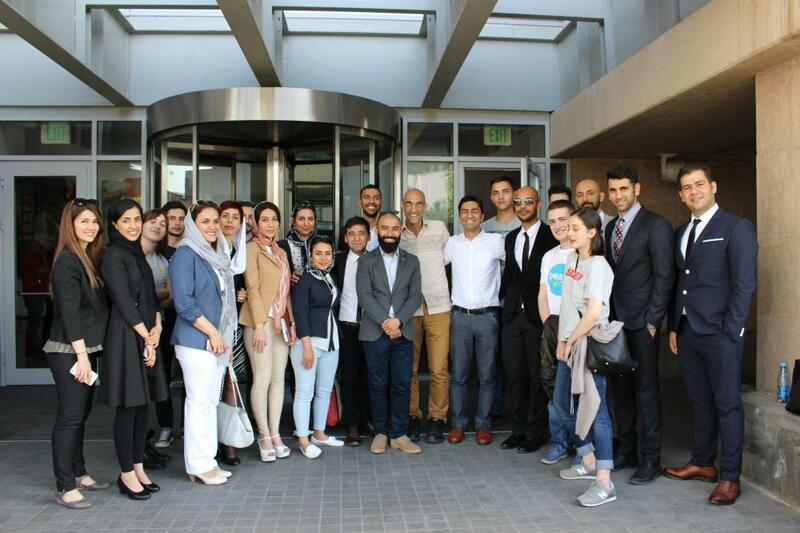 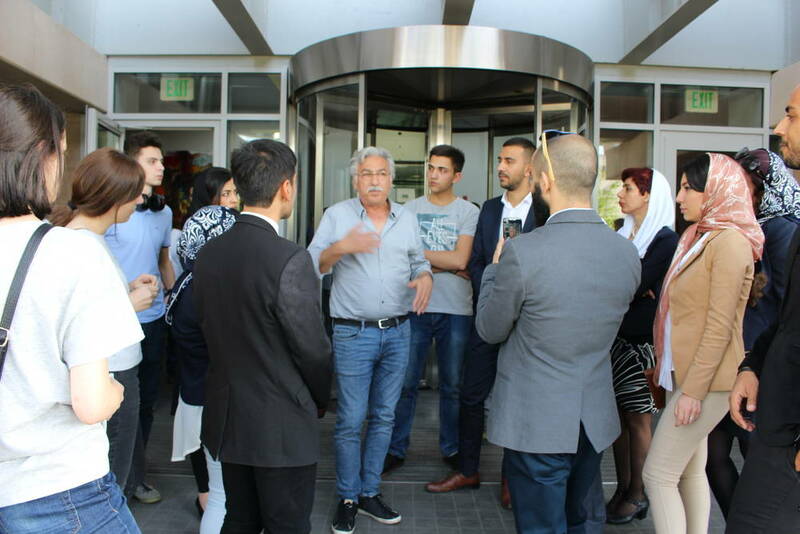 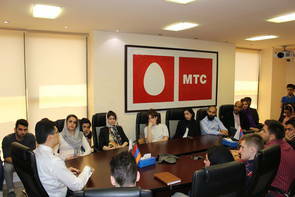 Leadership School joint with DoubleTree by Hilton Hotel Yerevan has organized a visit to Yerevan from May 29 to June 2 for young businessmen & startup community representatives from Iran and Georgia within the frames of LS Youth Exchange Programs. 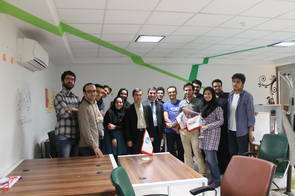 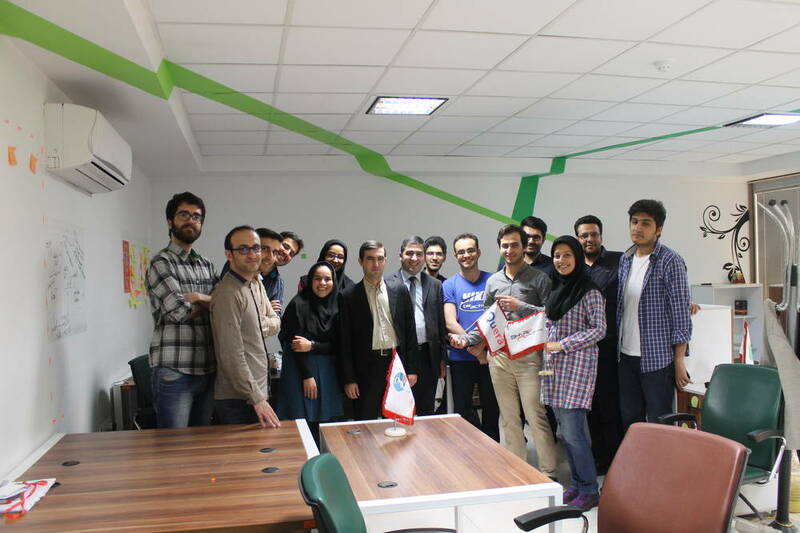 Acquaintance with innovative projects at the Technology and Science Dynamics company, and meeting with Dr. Vahan Chakarian (founder, Technology and Science Dynamics [TSD]). 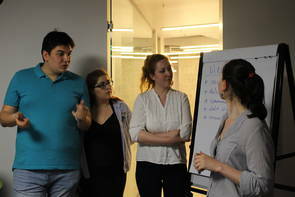 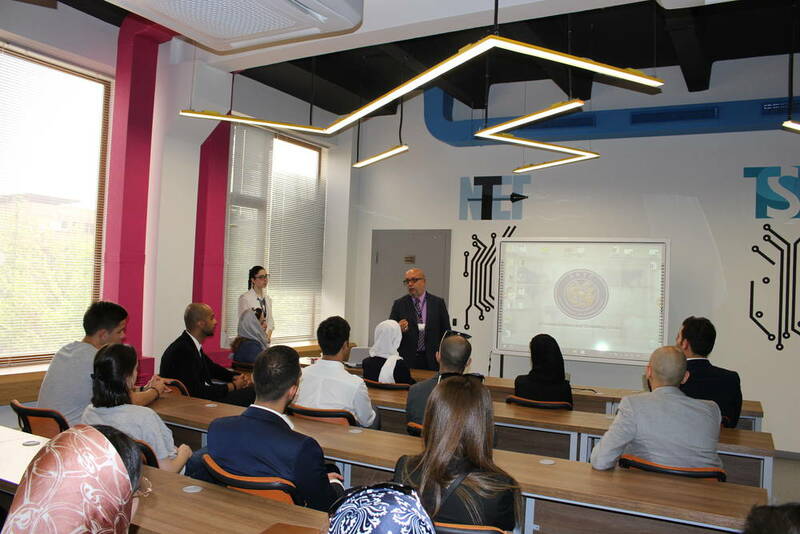 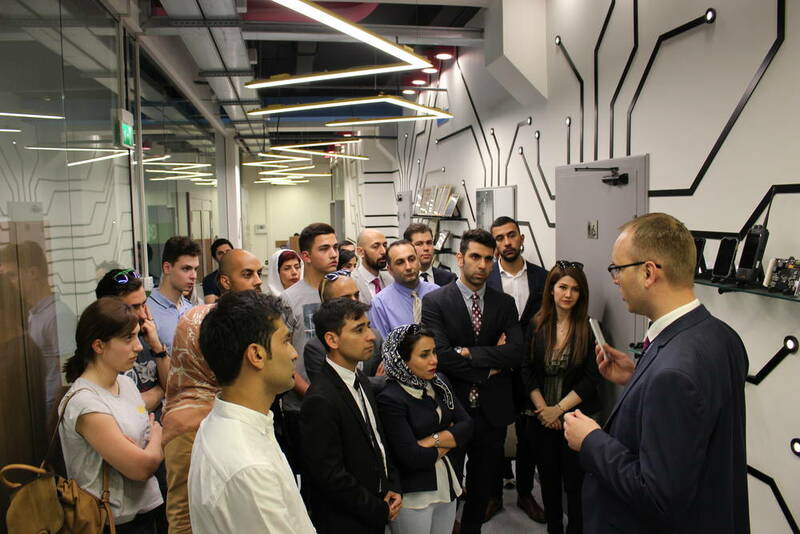 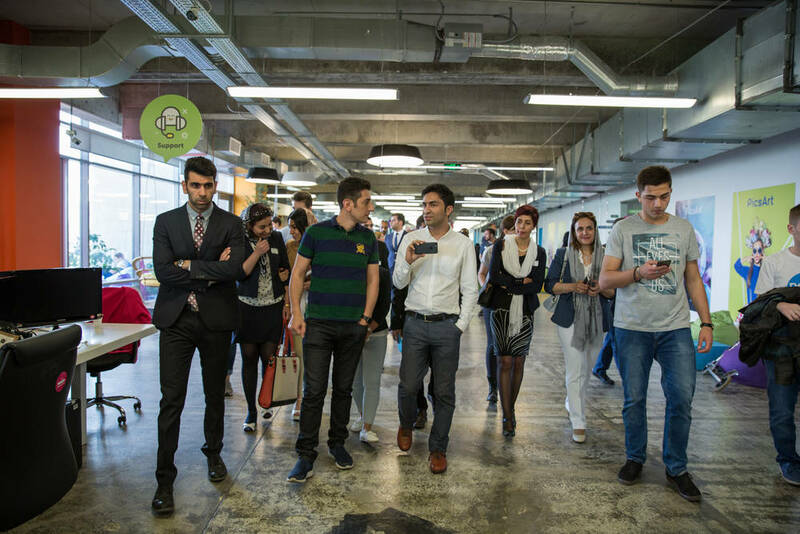 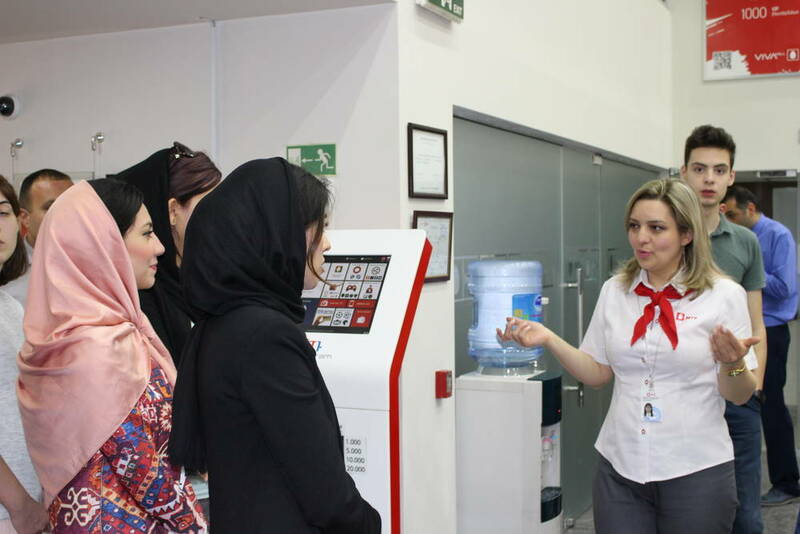 How can Tumo Center's model assist educational systems? 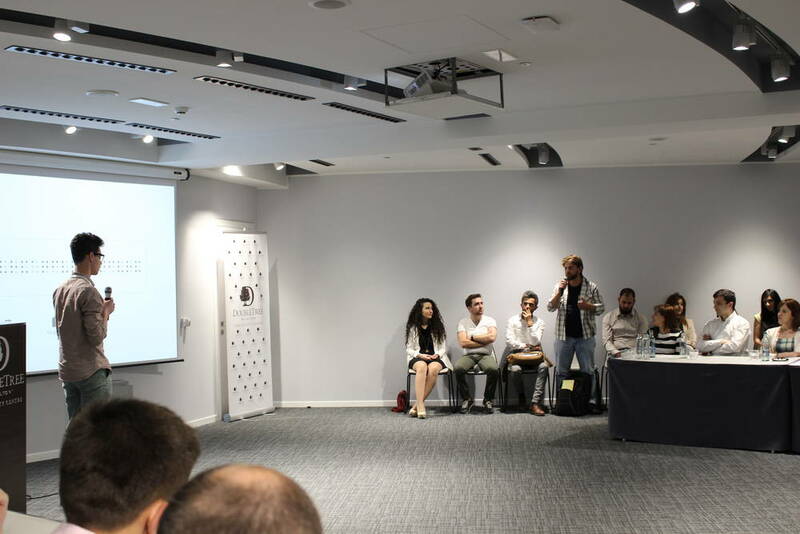 Sam Simonian (founder, Tumo Center for Creative Technologies) is reflecting on the history of the initiative. Our guests appreciate activities of Dr. Tom Catena (physician in the Nuba Mountains of Sudan, 2017 winner of Aurora Prize for Awakening Humanity). 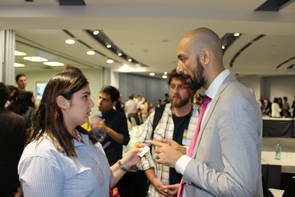 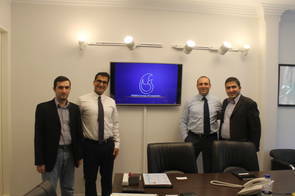 Visit to PicsArt, and meeting with Artavazd Mehrabyan (co-founder, PicsArt). 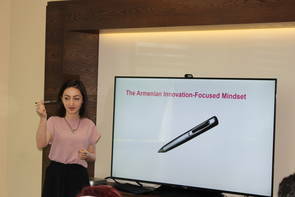 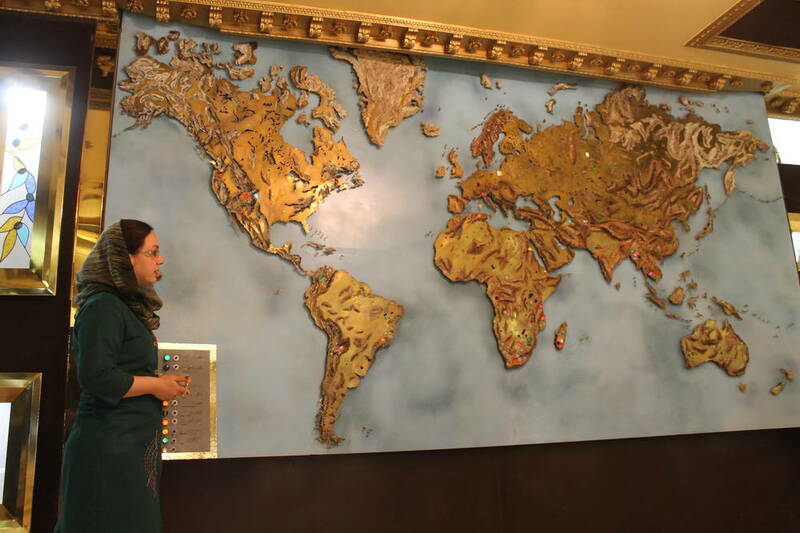 What advantages do the citizens of Iran and Georgia have to visit and work in Armenia? 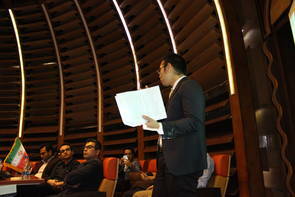 Tigran Balayan (Spokesman, Ministry of Foreign Affairs of Armenia) is answering the visitors' questions. 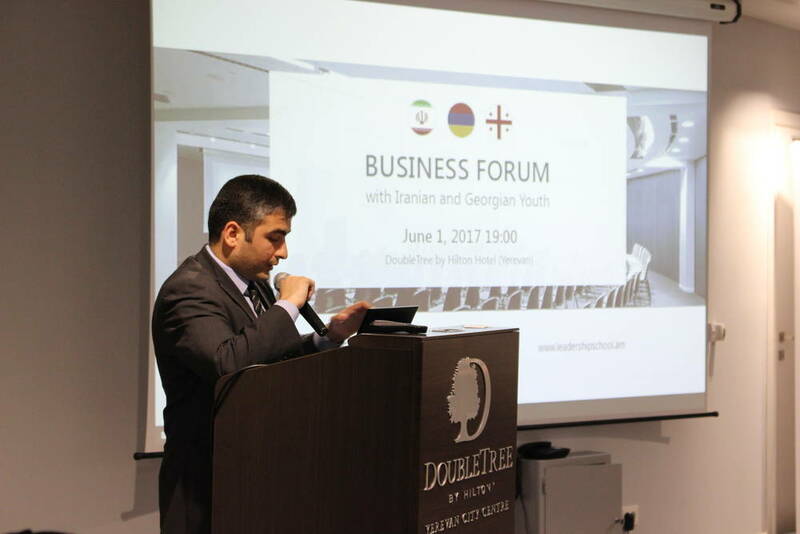 Armen Gevorgyan (Chief of Staff, Office to the President of Armenia) is analyzing perspectives of the regional development. 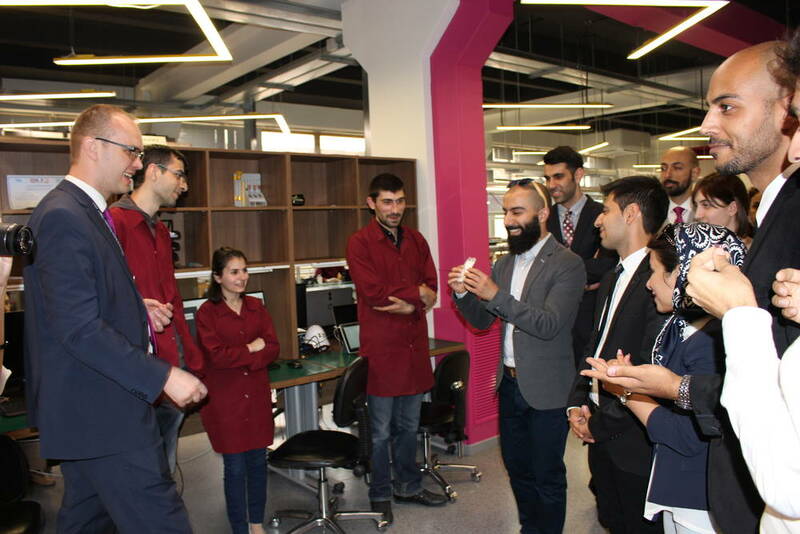 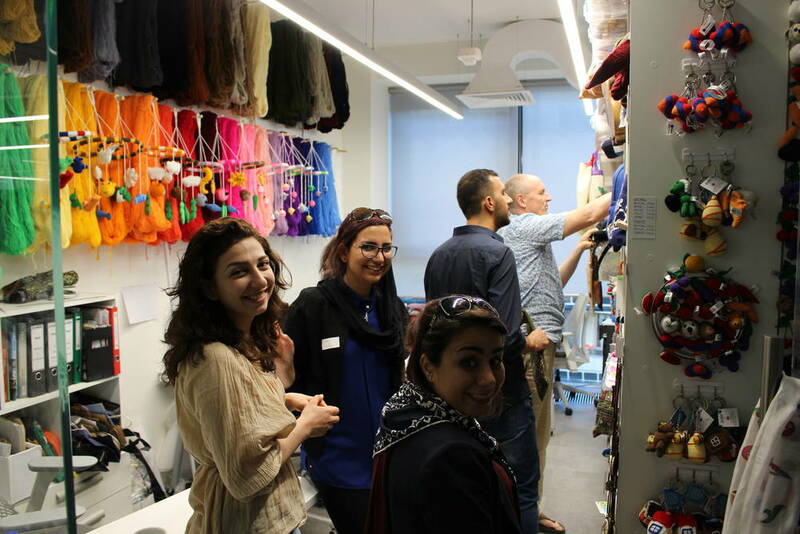 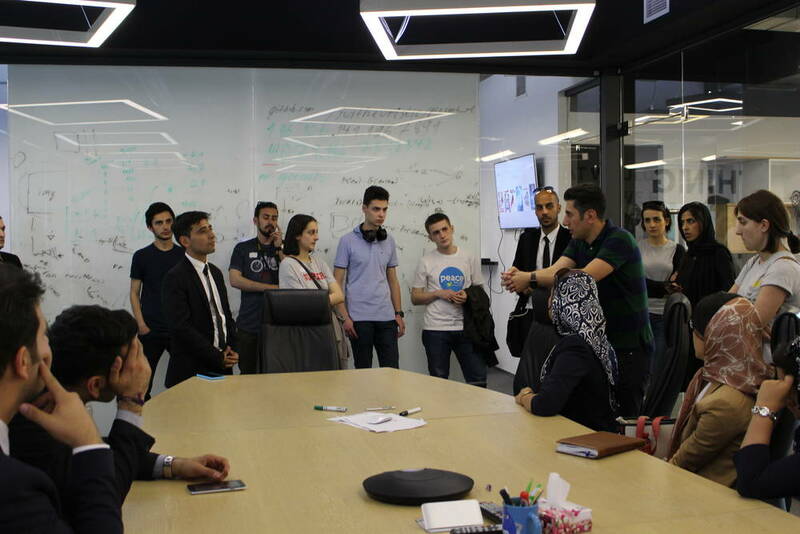 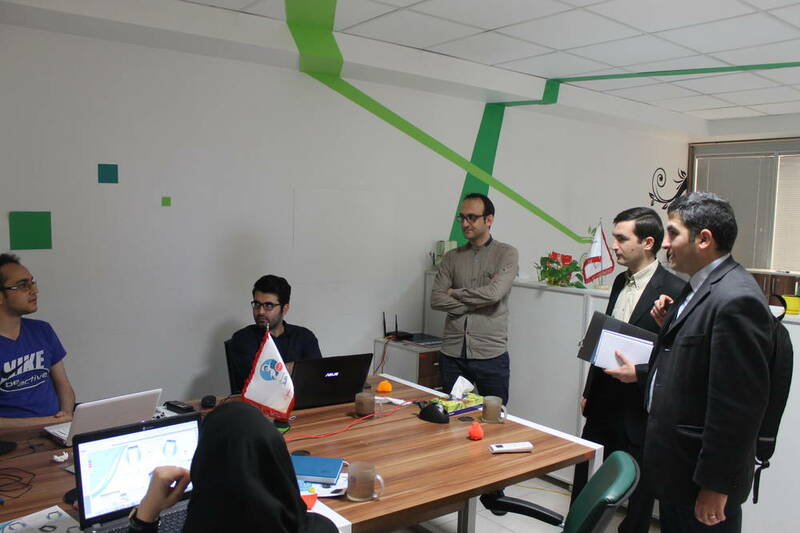 Visit to Instigate, and meeting with Vahagn Poghosyan (co-founder, Instigate) to get insights on the company's business development and current innovative projects. 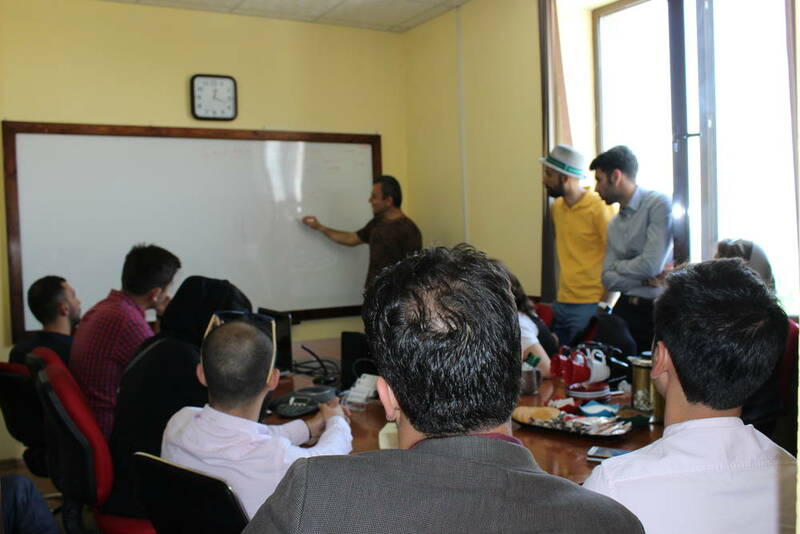 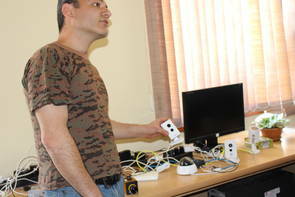 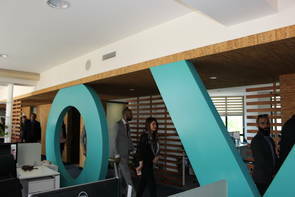 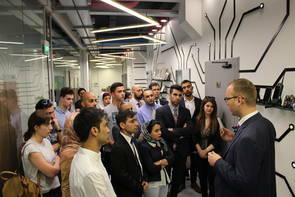 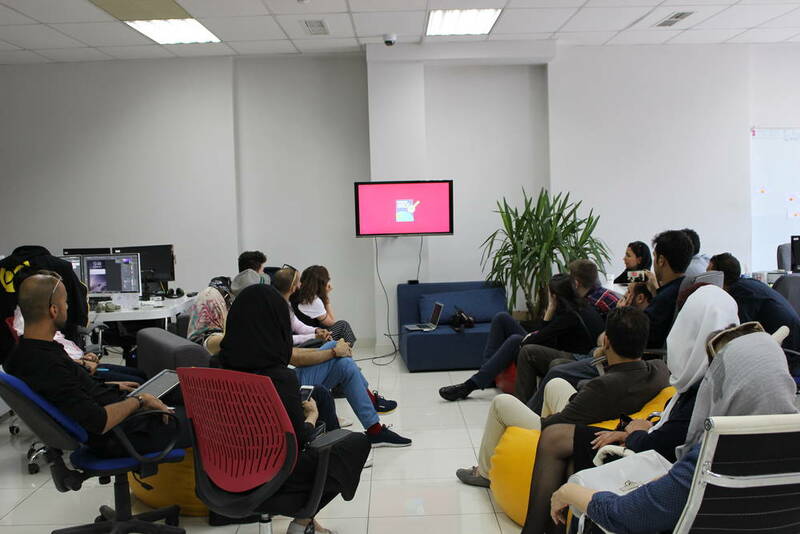 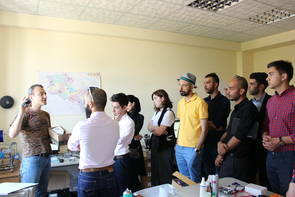 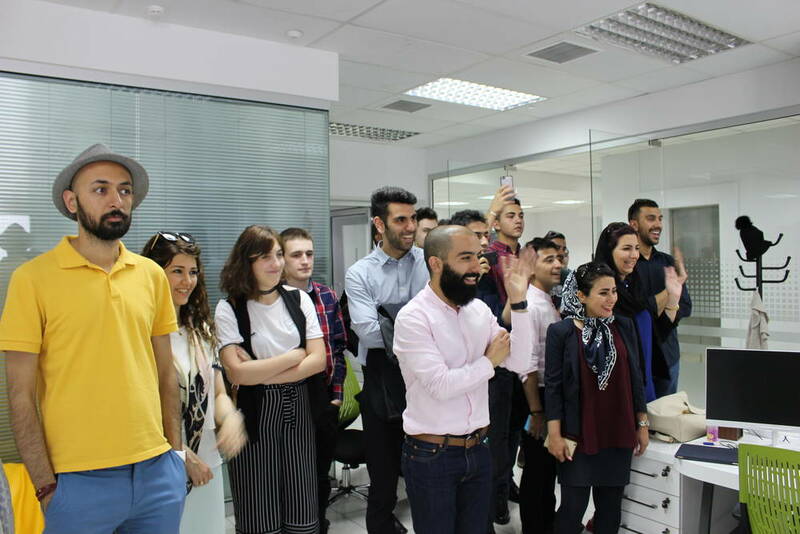 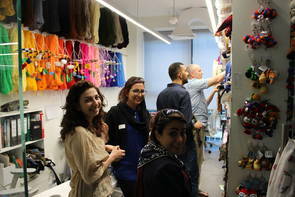 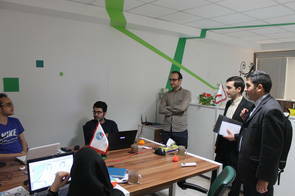 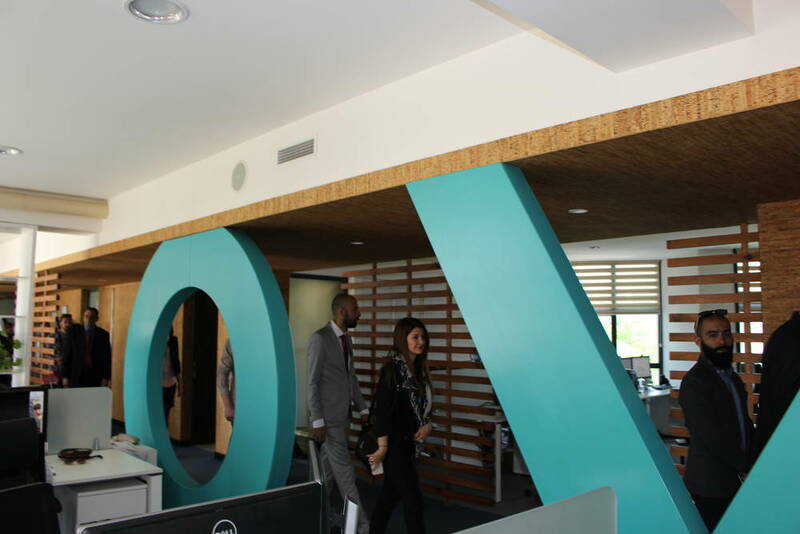 Visit to Joomag, and meeting with Vahram Darbinyan (cofounder, Joomag). 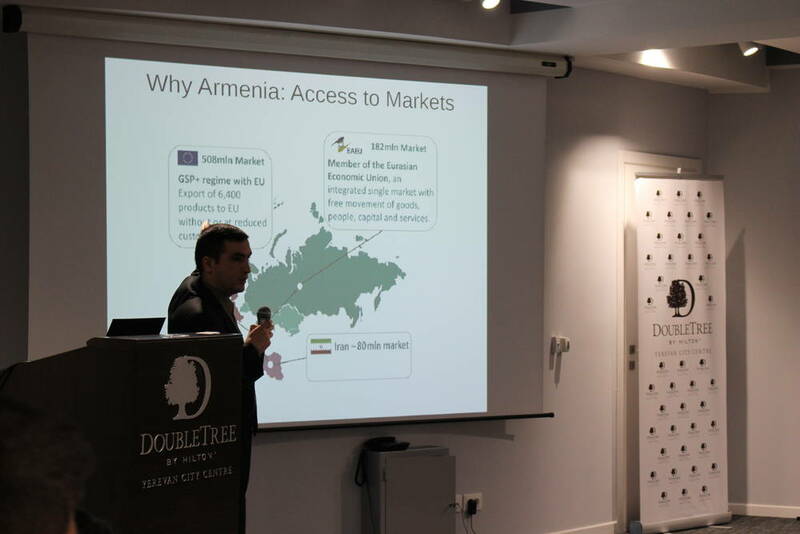 Dr. Armen Orujyan (CEO, Foundation for Armenian Science and Technology [FAST]) is emphasizing the importance of targeting the regional scale. 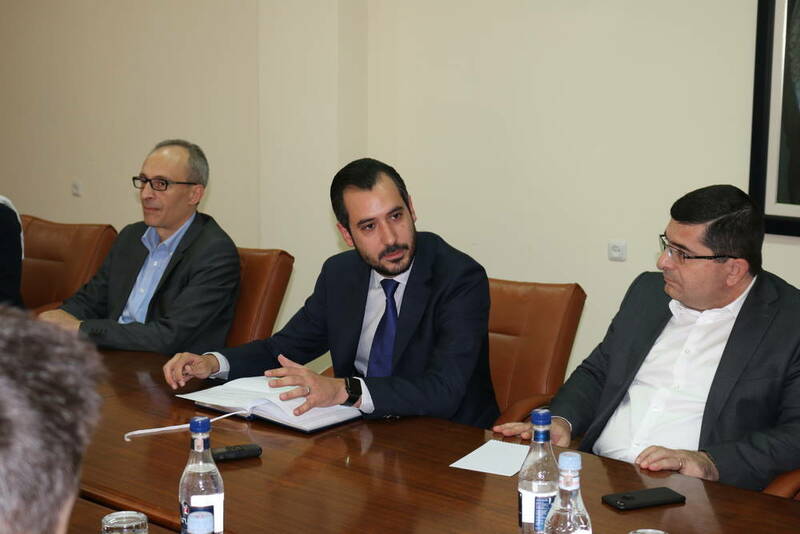 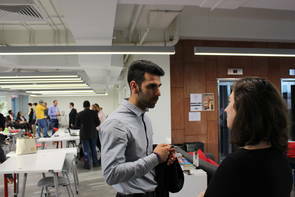 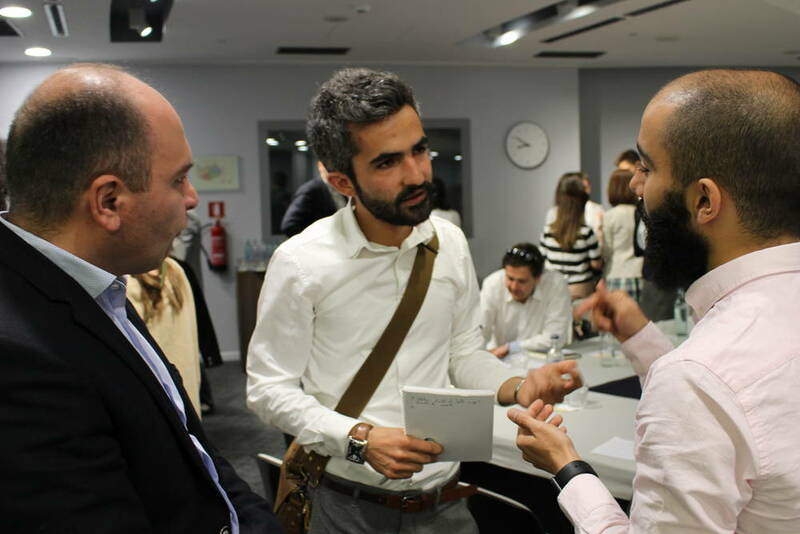 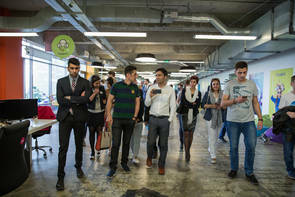 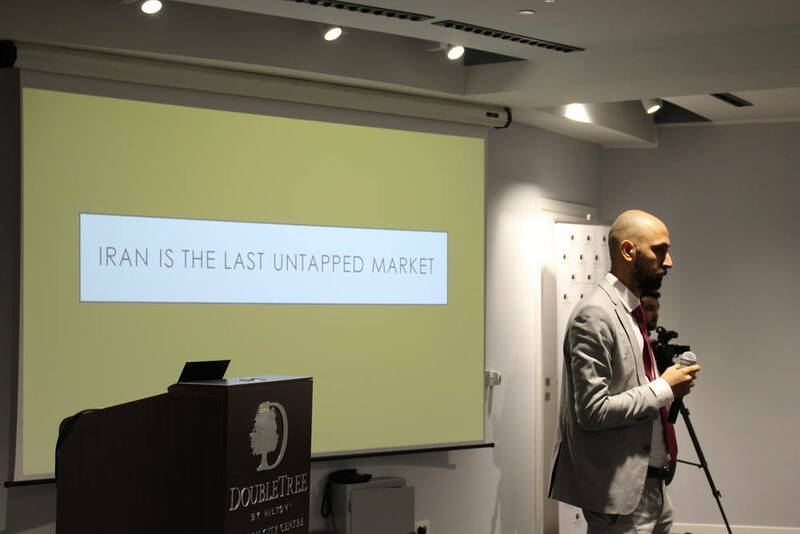 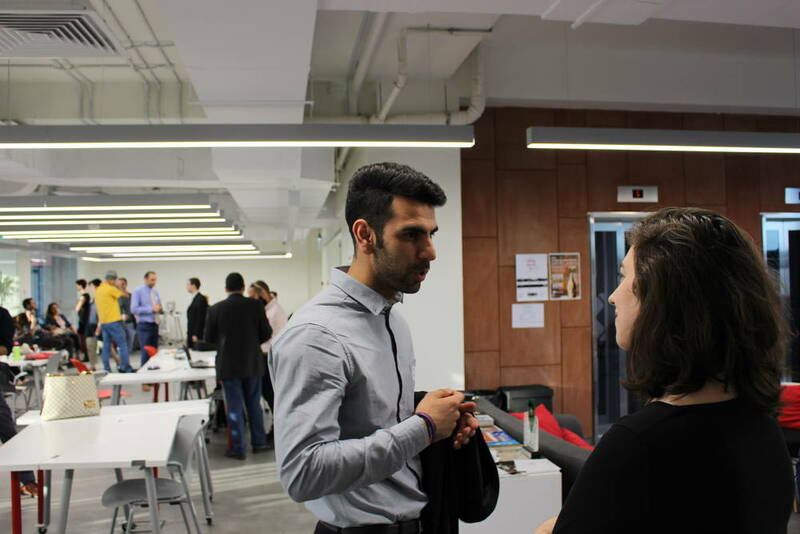 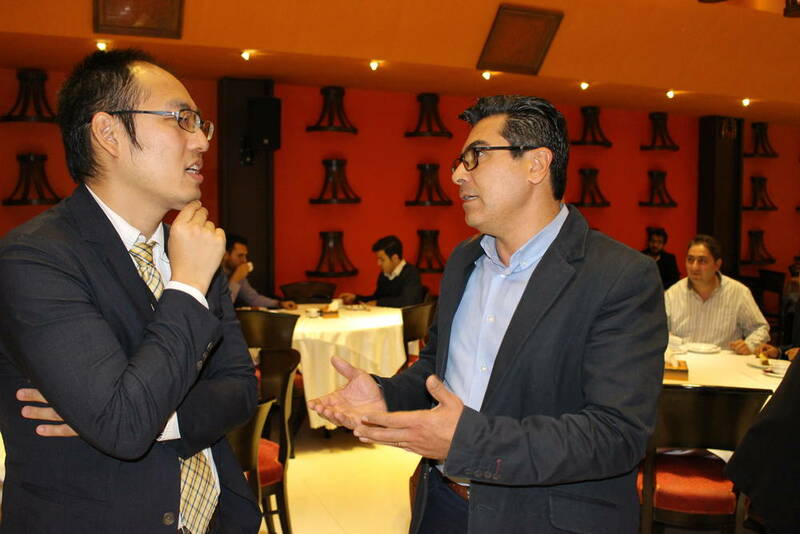 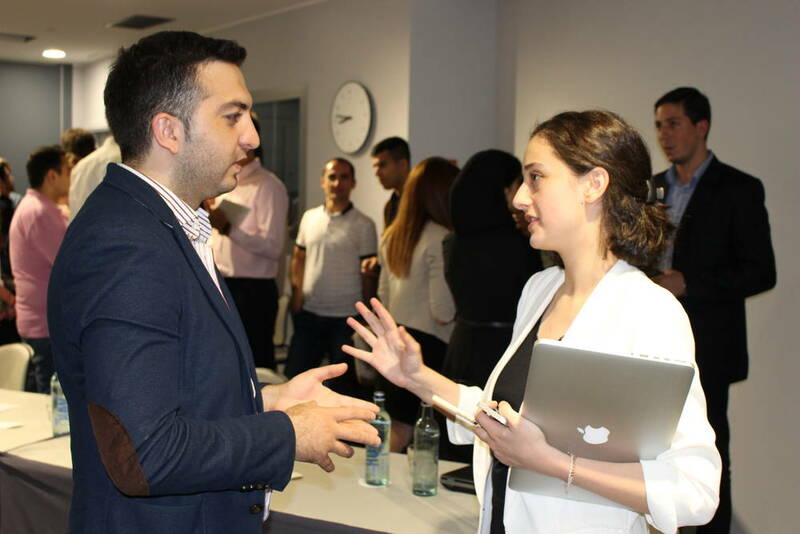 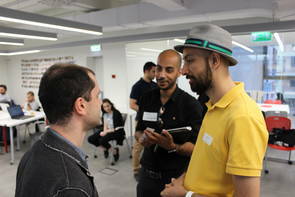 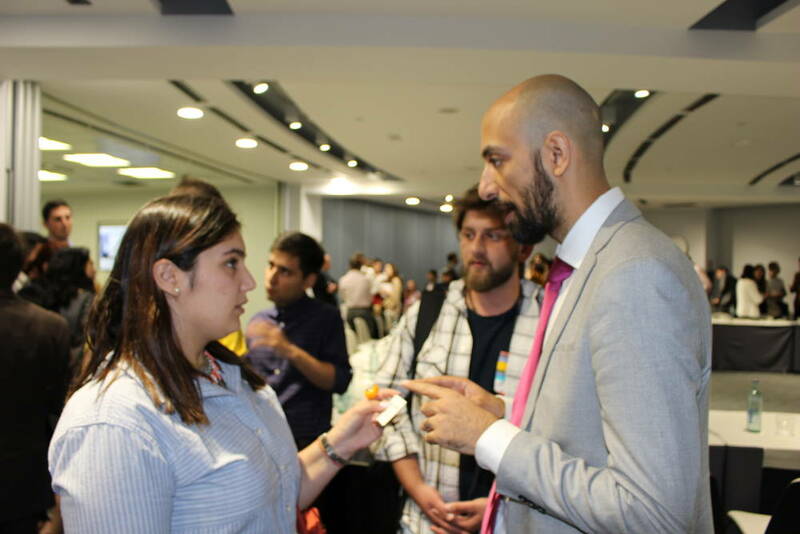 Armen Avakian (CEO, Development Foundation of Armenia) is reassuring the government's willingness to support new businesses and startups in Armenia. 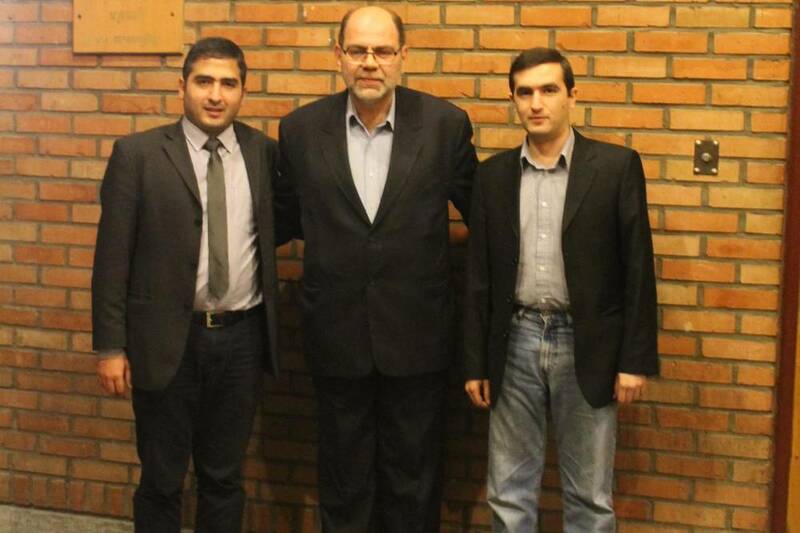 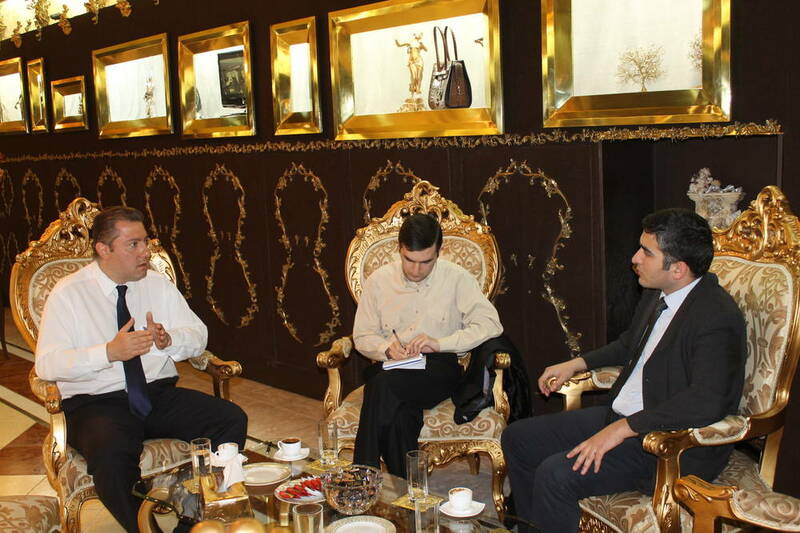 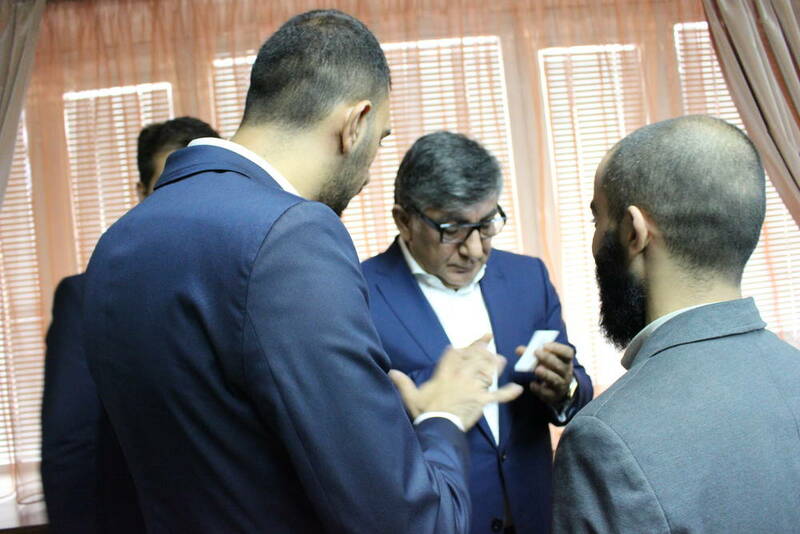 Meeting with businessman Khachatur Sukiasyan (founder of SIL Group). 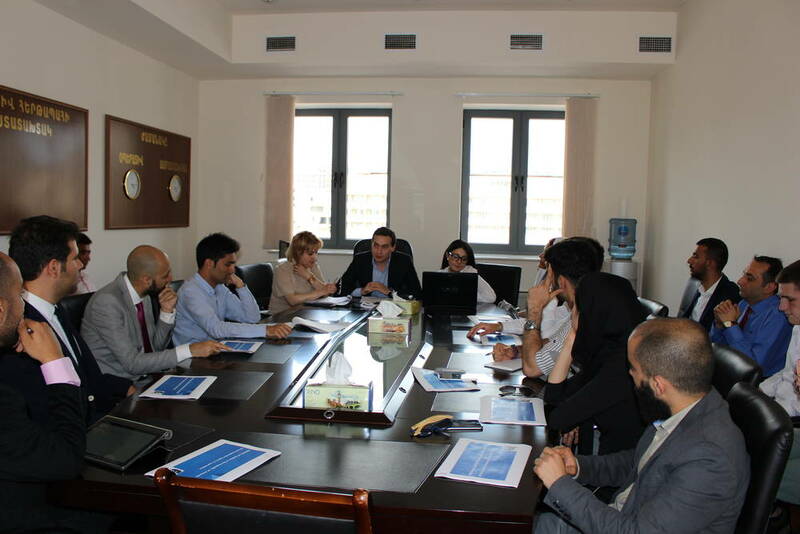 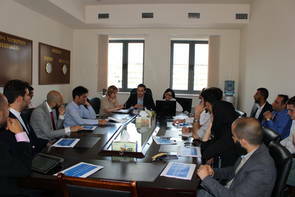 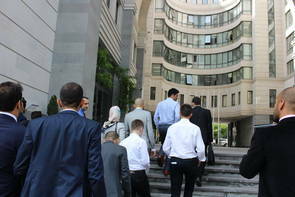 Visit to the Ministry of Justice and acquaintance with the processes to launch a business in Armenia. 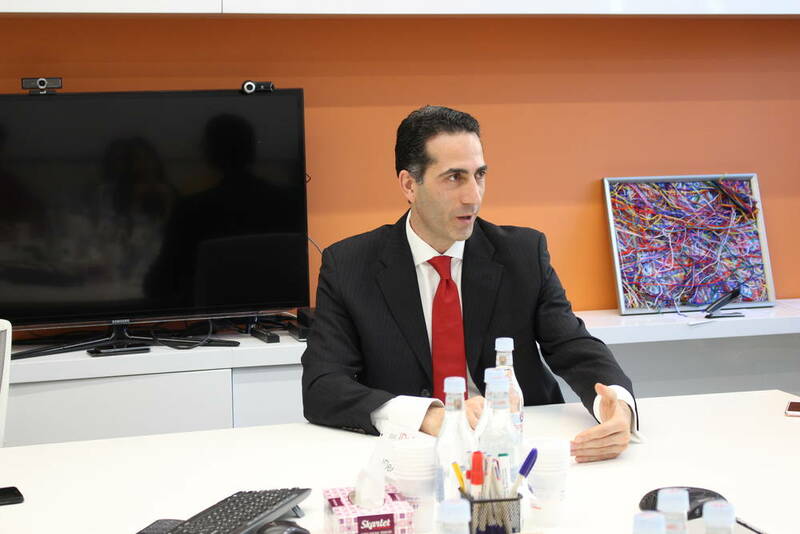 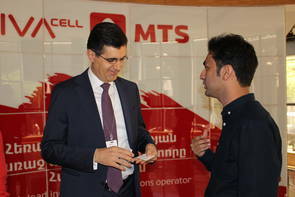 Visit to VivaCell MTS and meeting with Ralph Yirikian (general manager, VivaCell MTS). 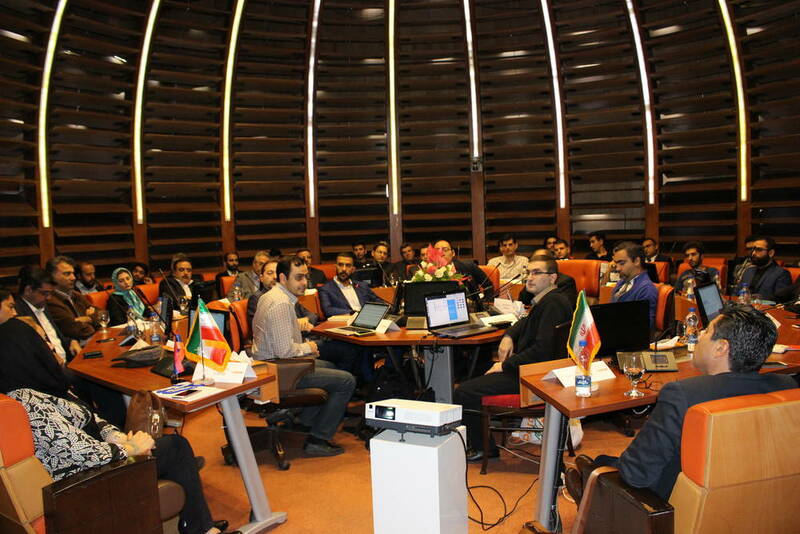 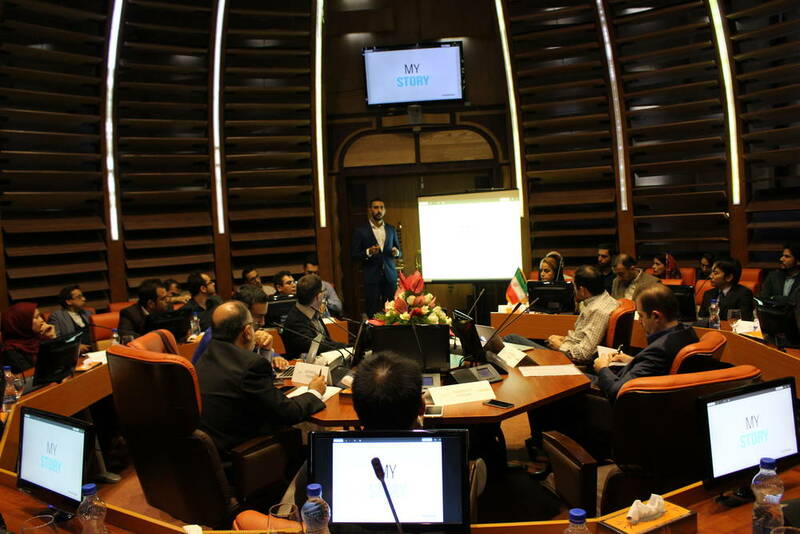 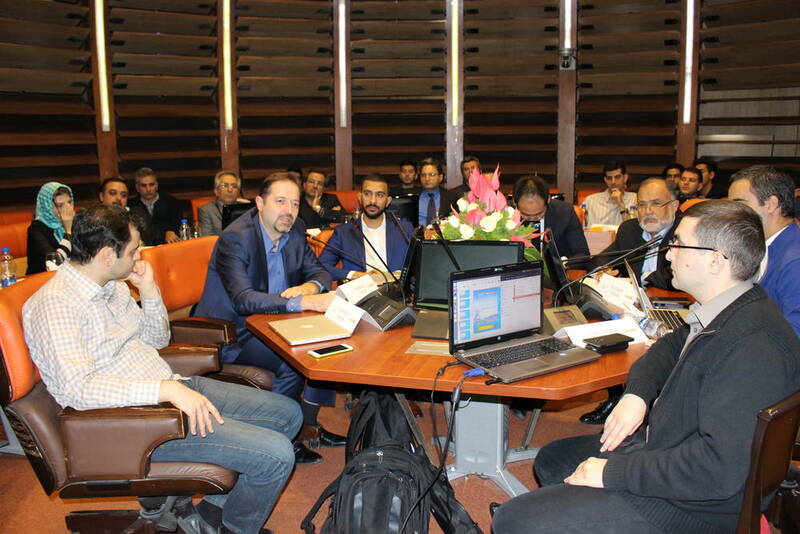 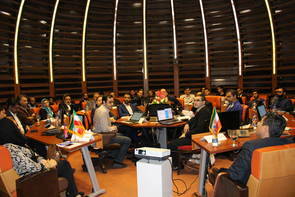 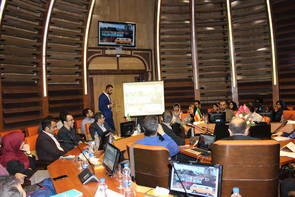 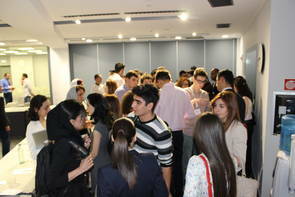 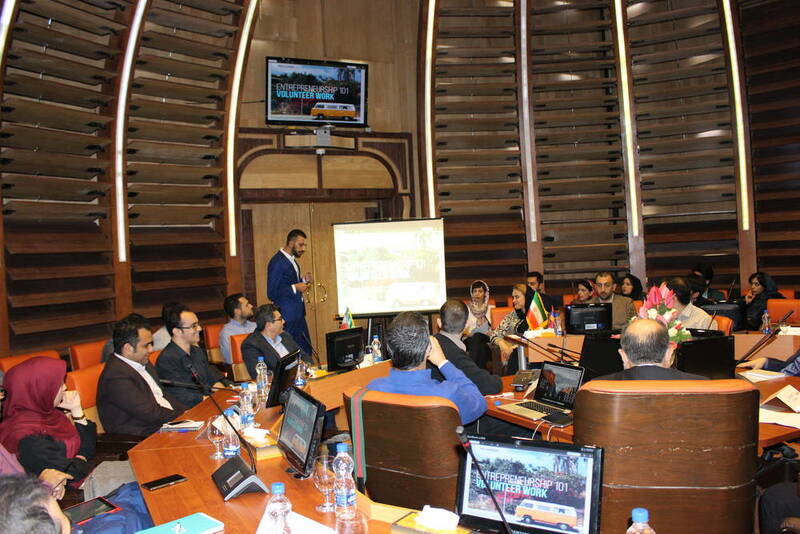 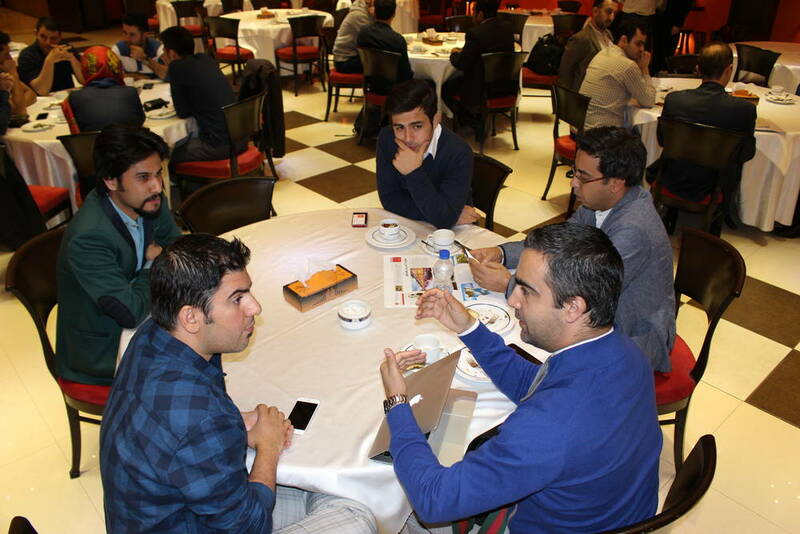 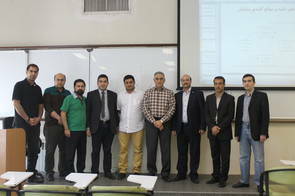 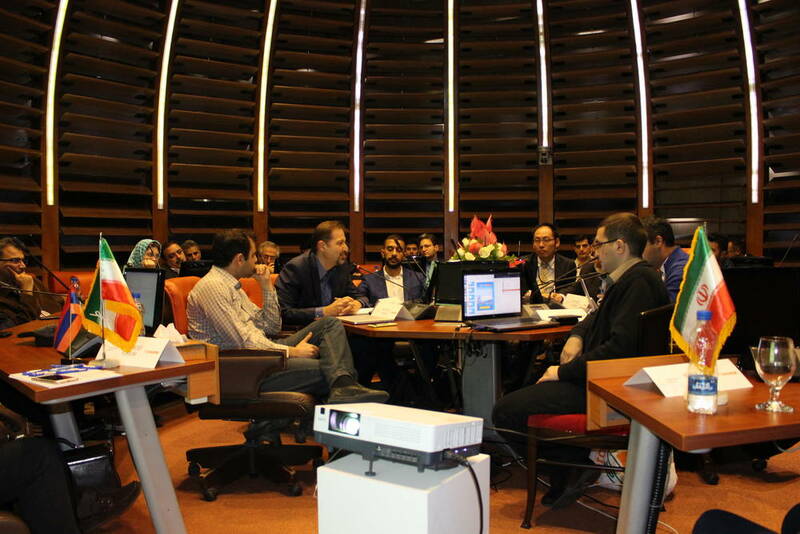 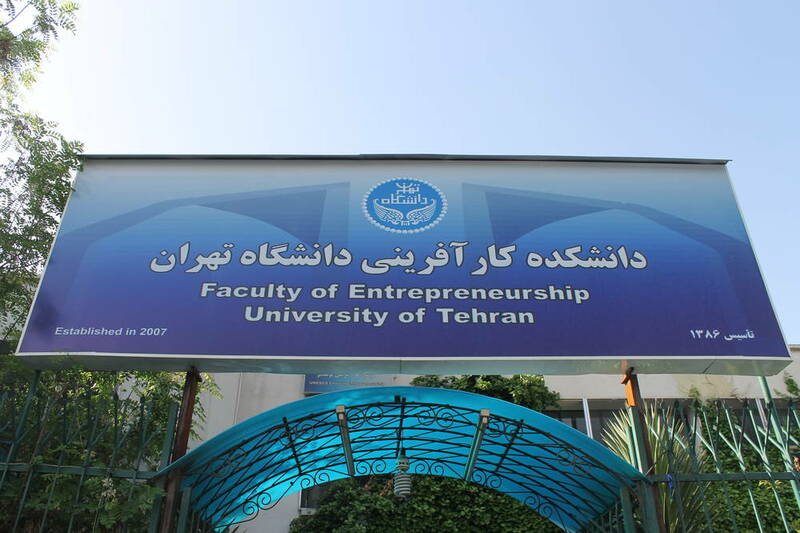 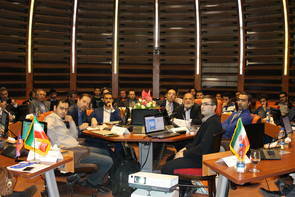 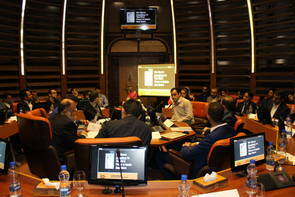 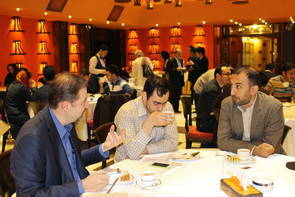 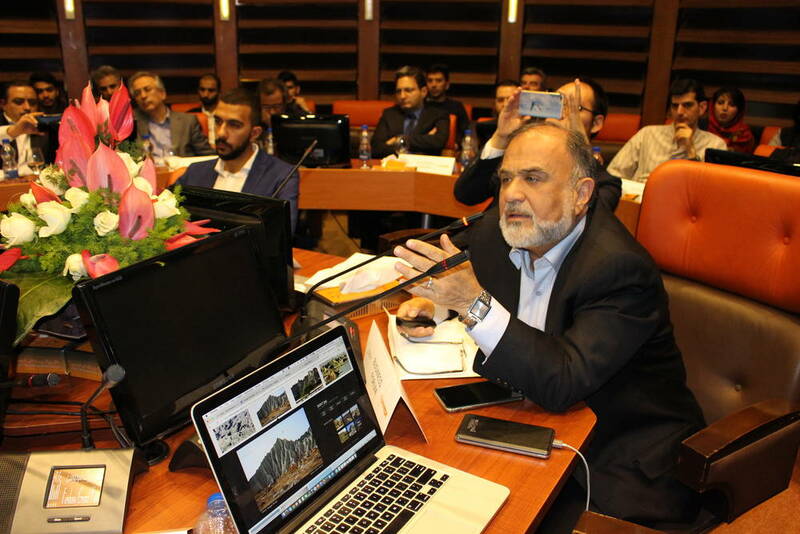 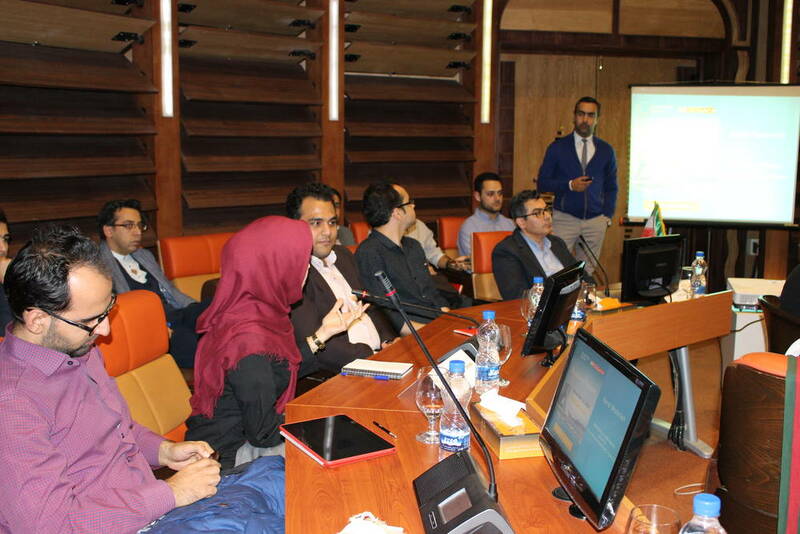 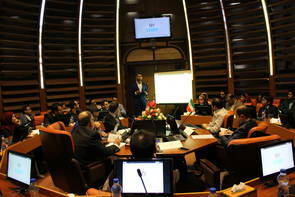 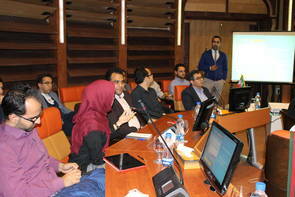 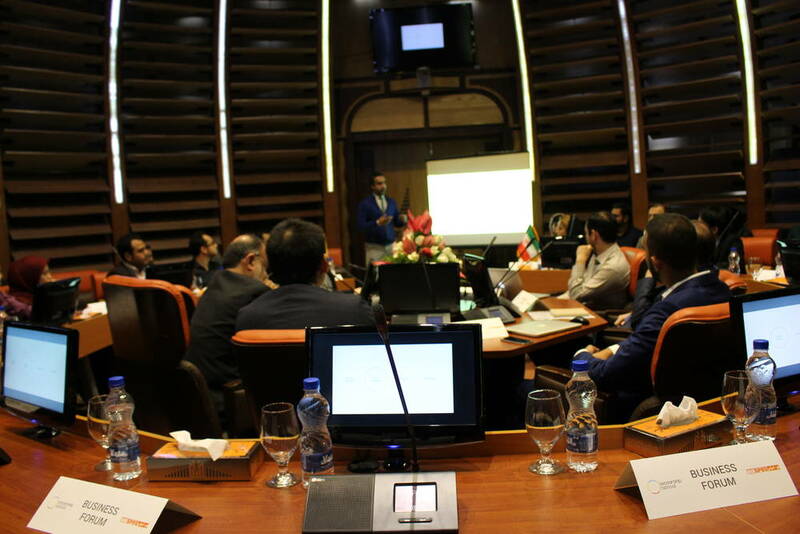 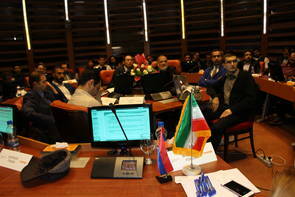 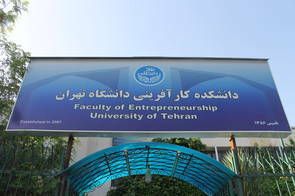 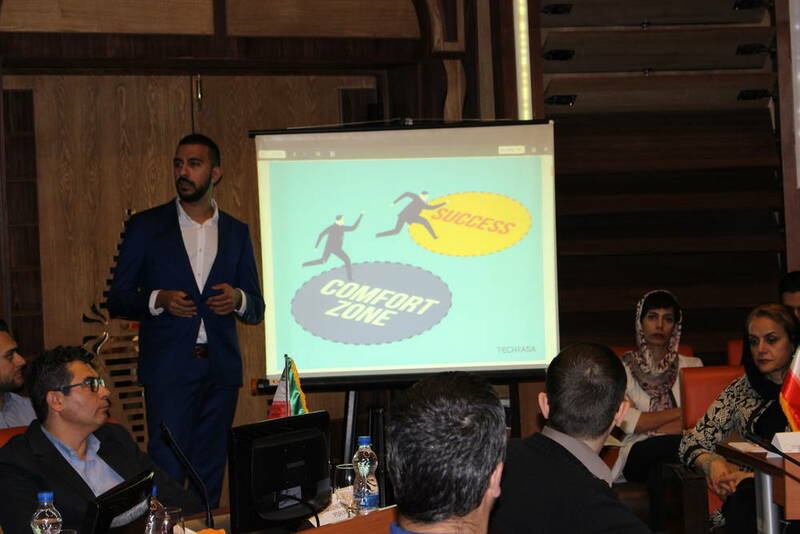 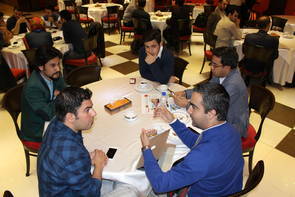 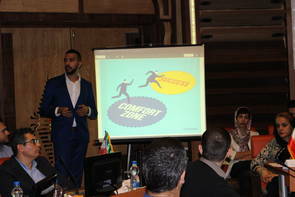 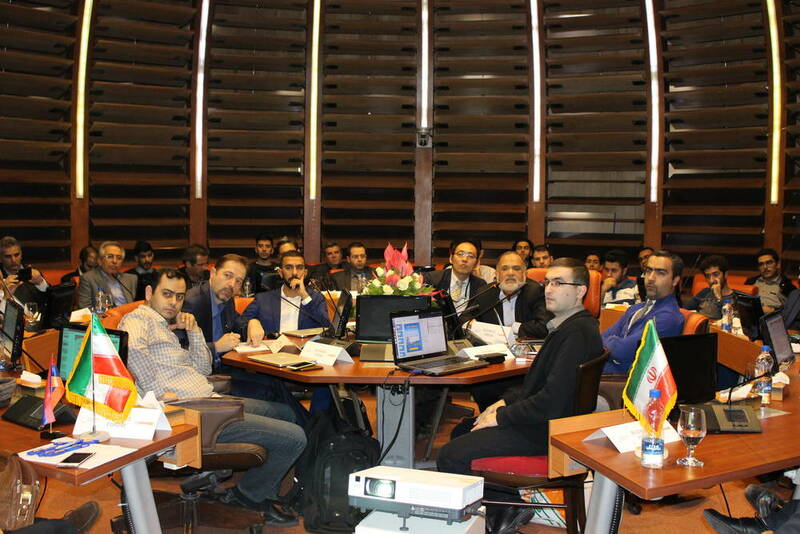 Leadership School & Ho Spus have organized a Business Forum in Tehran on November 13. 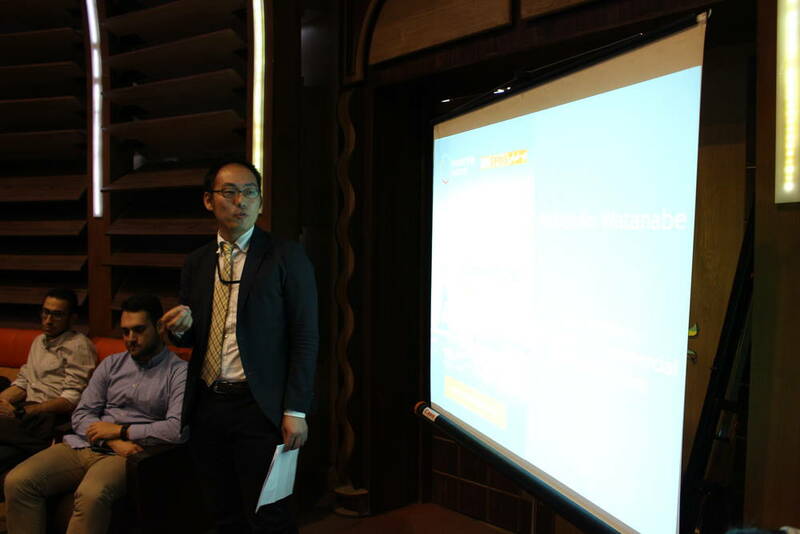 Nobuhiko Watanabe (head of economic section, Japanese Embassy) is reflecting on economic relationships between Japan & Iran. 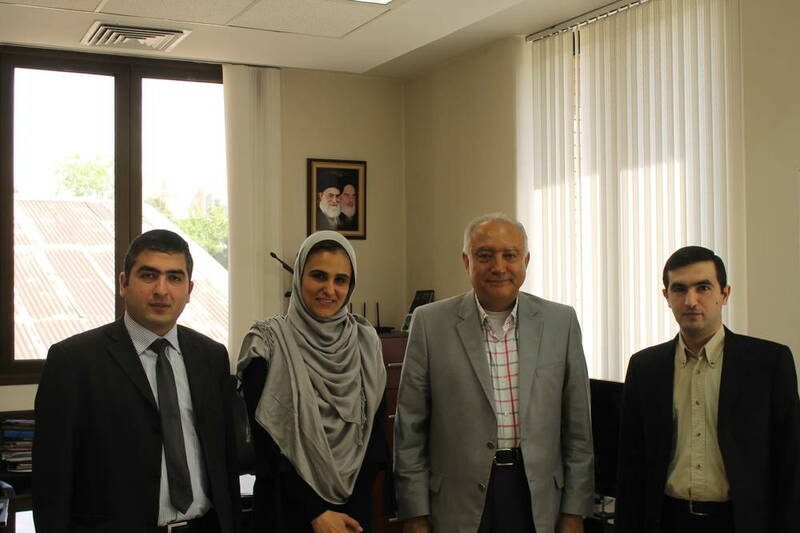 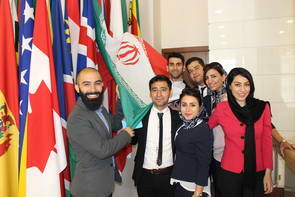 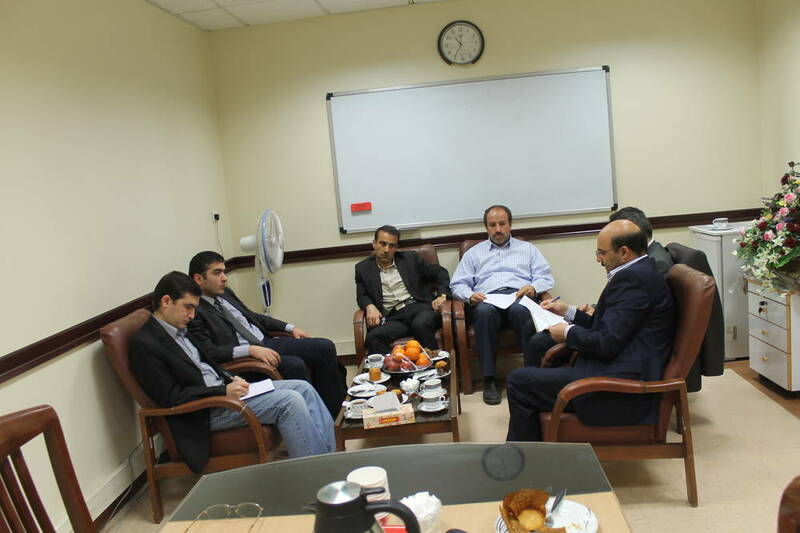 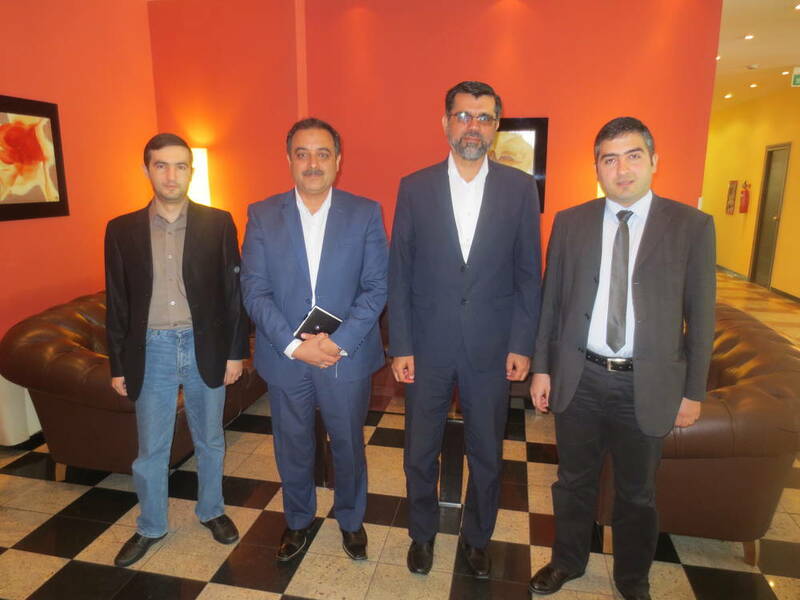 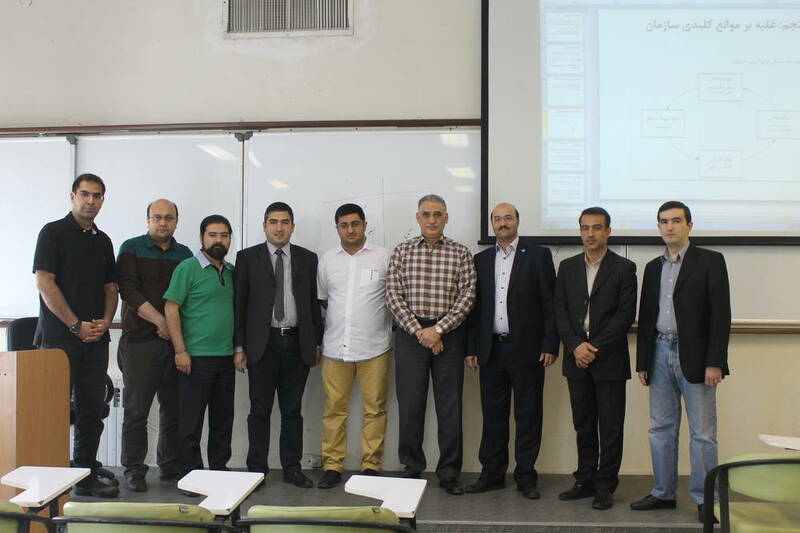 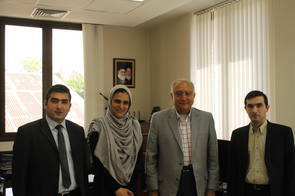 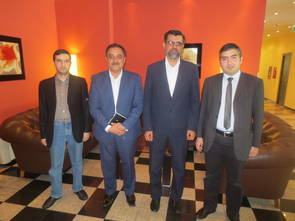 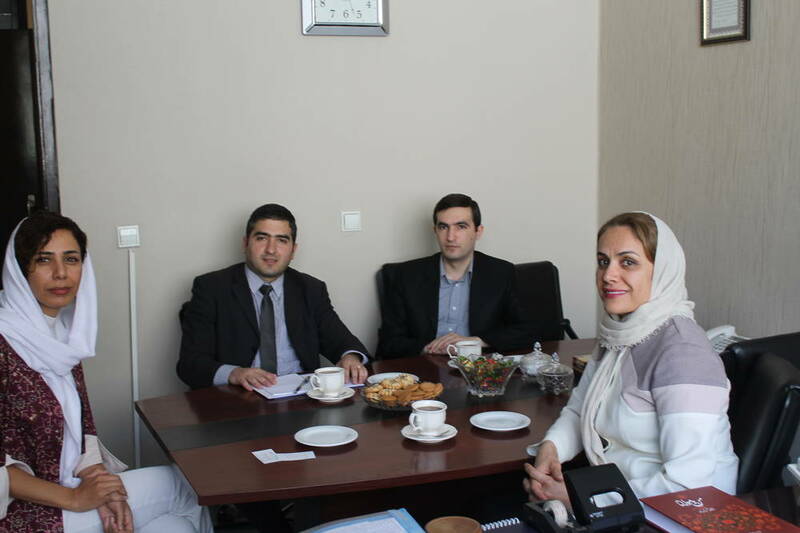 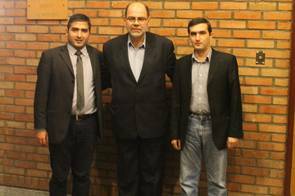 Leadership School representatives visited Islamic Republic of Iran.